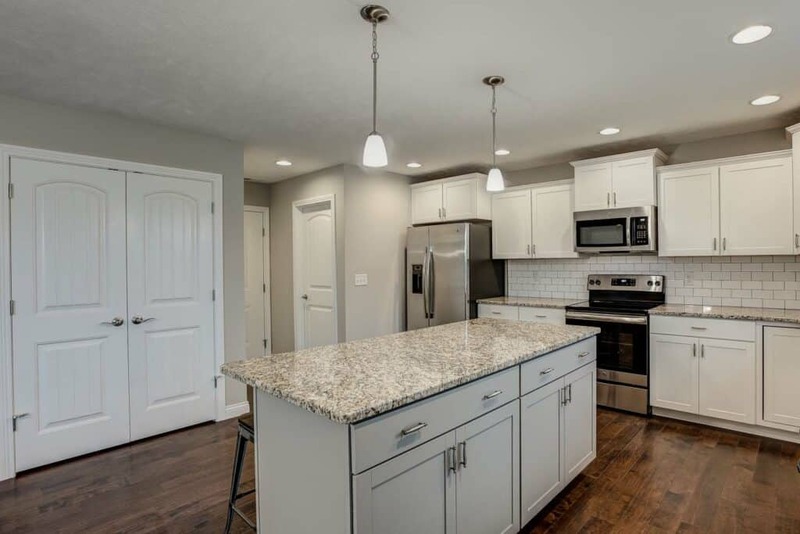 Sign up before June 11th and purchase a Reinbrecht Home before July 15th to receive a brand new washer and dryer (worth $2,300) with your new home. 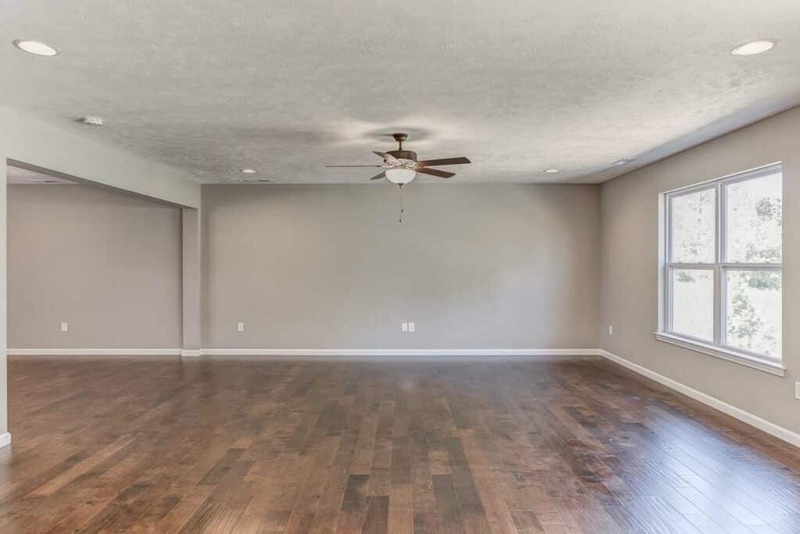 This 2,800 sq. 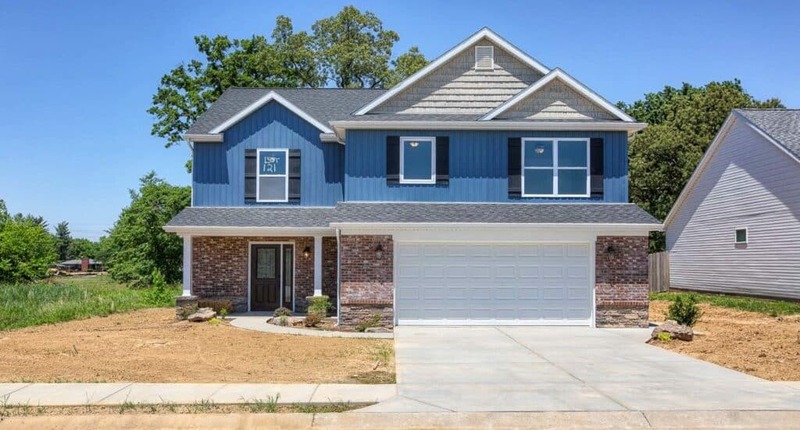 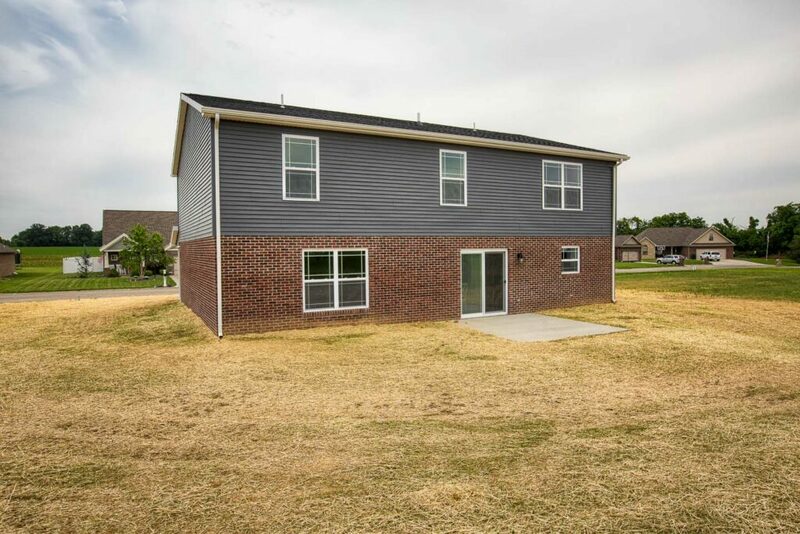 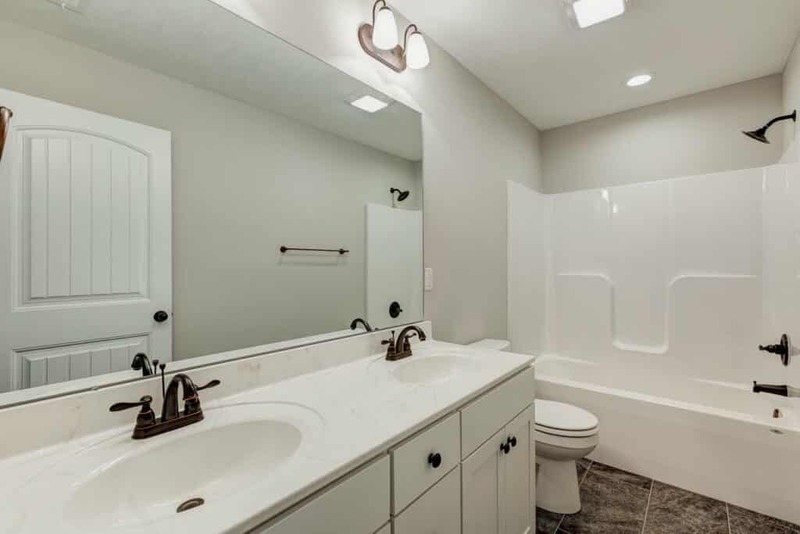 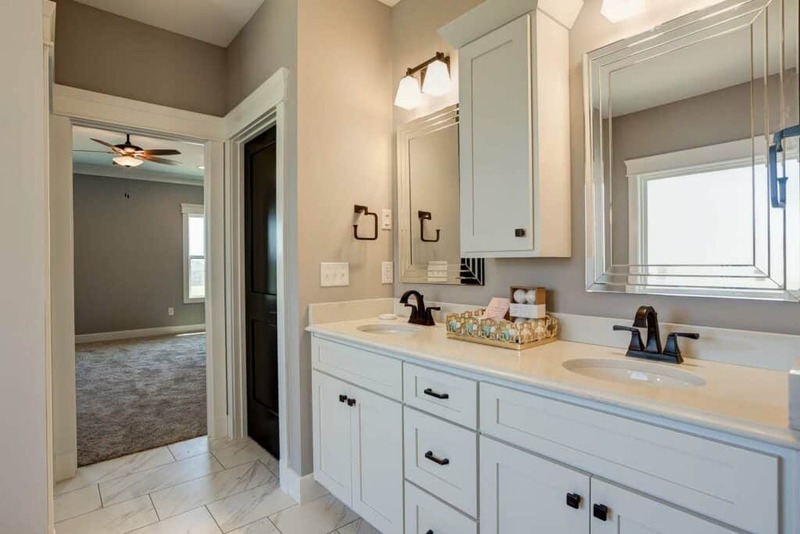 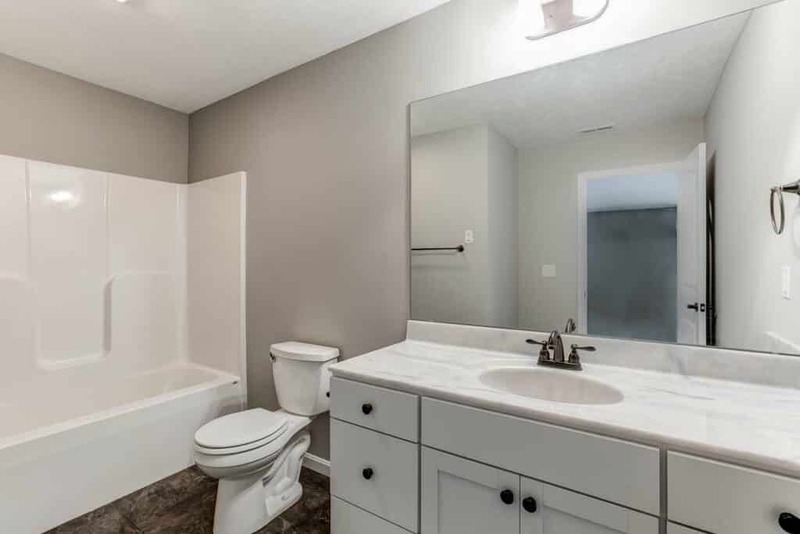 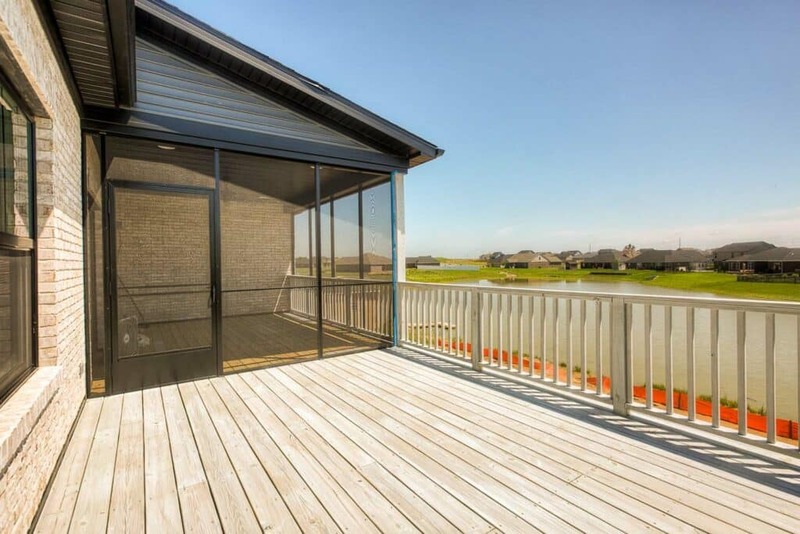 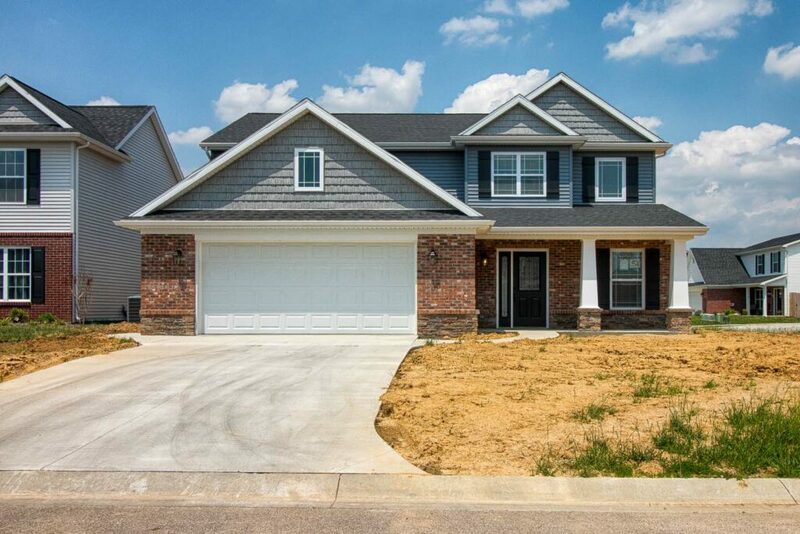 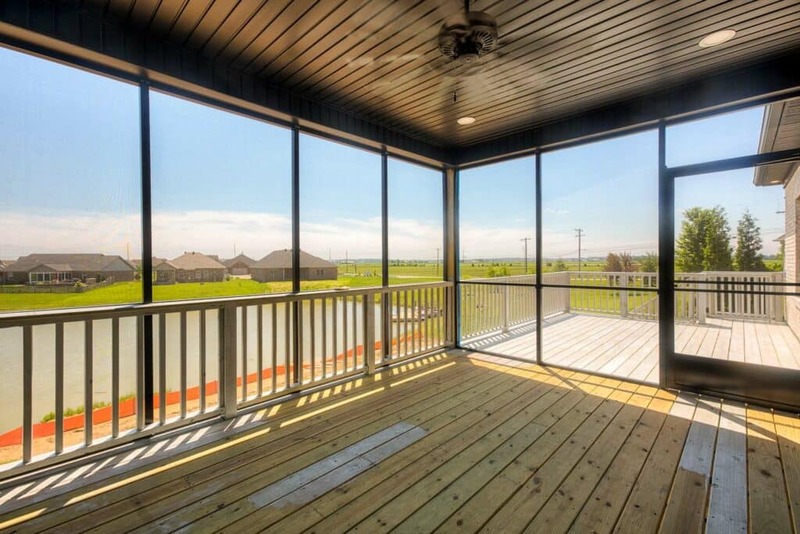 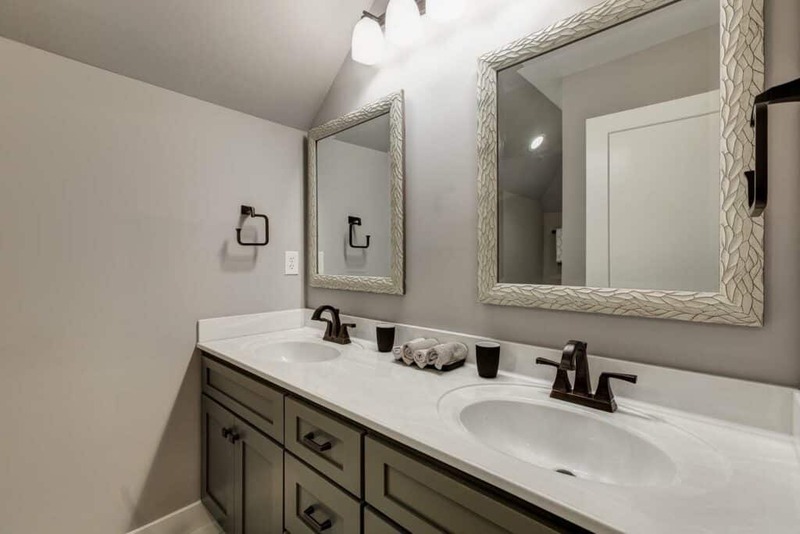 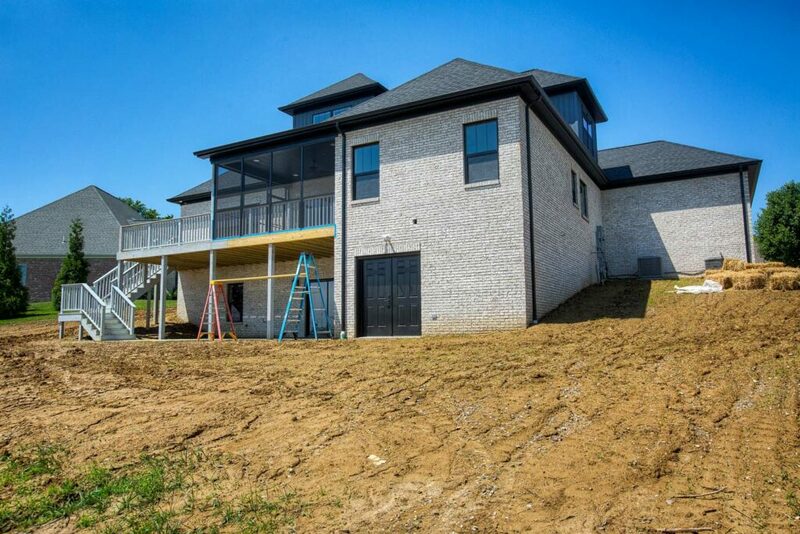 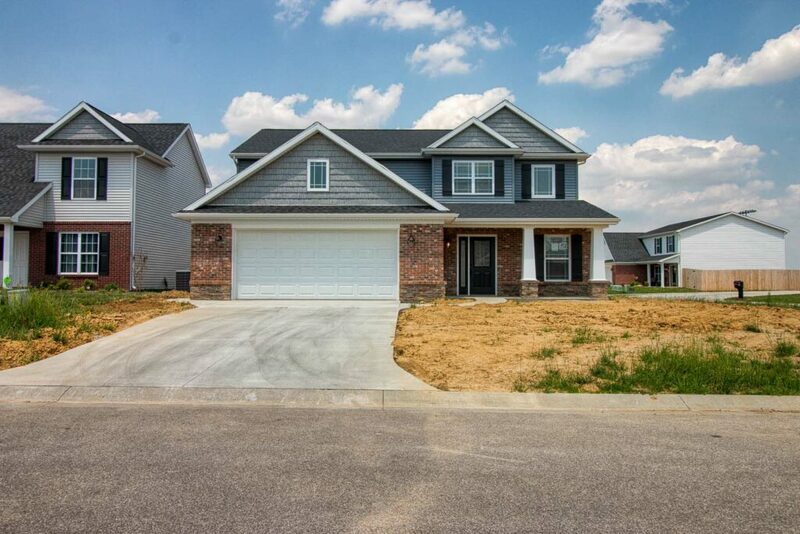 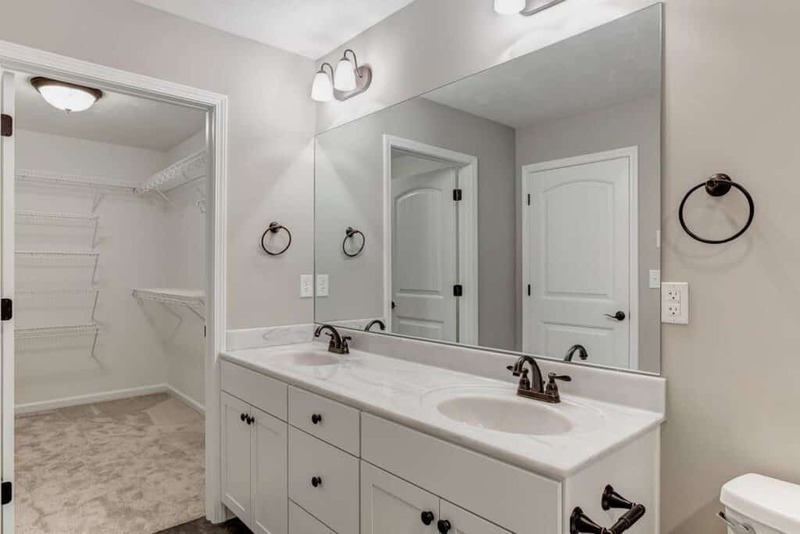 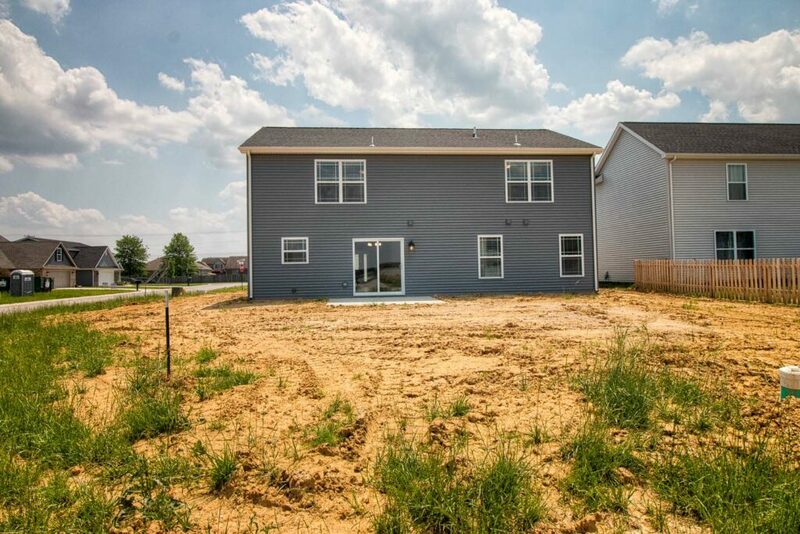 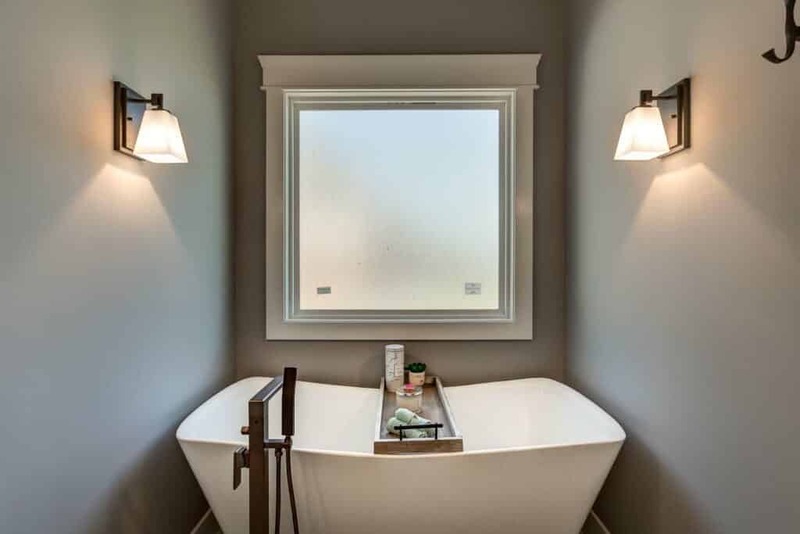 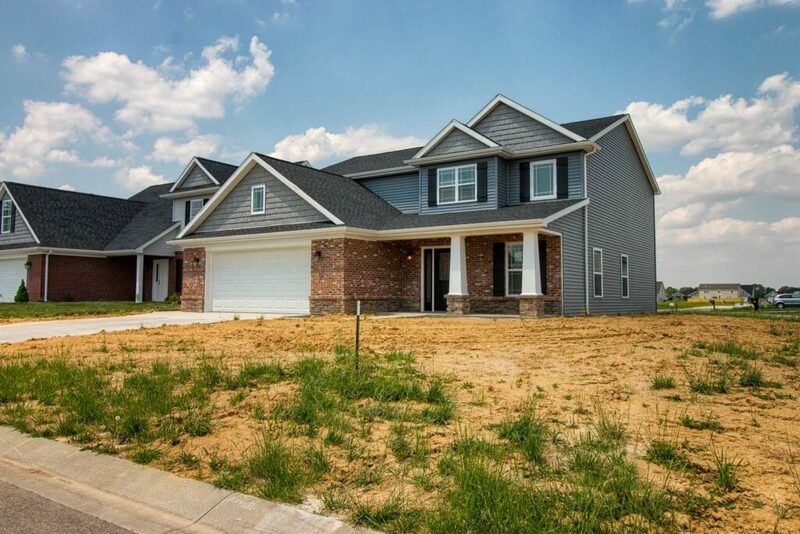 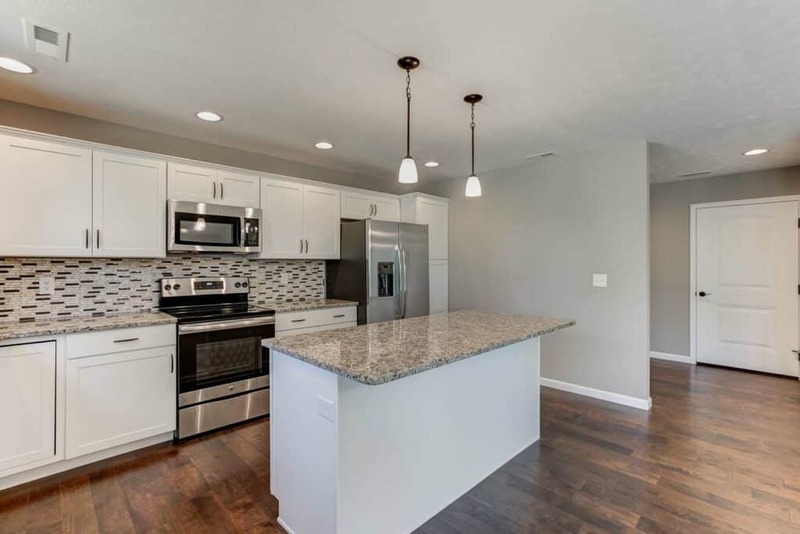 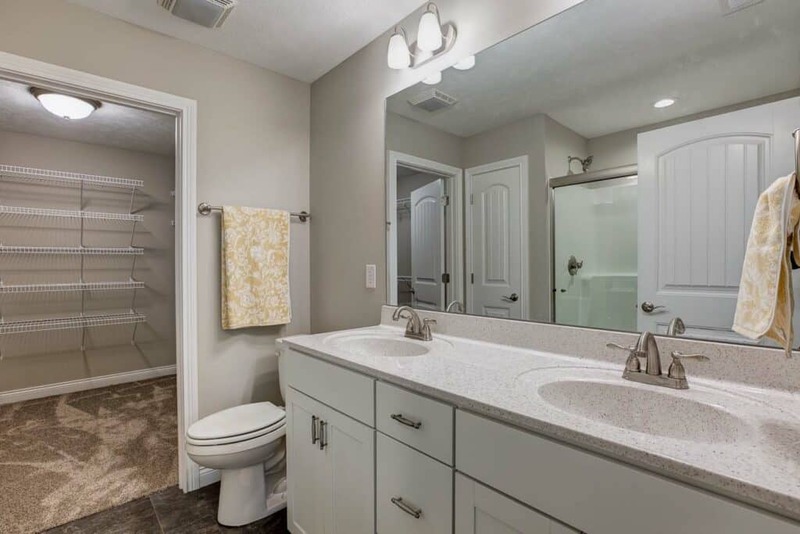 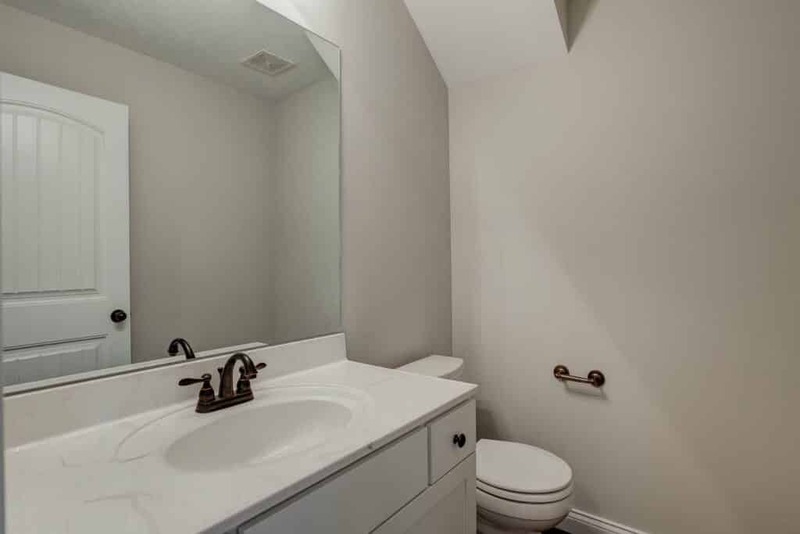 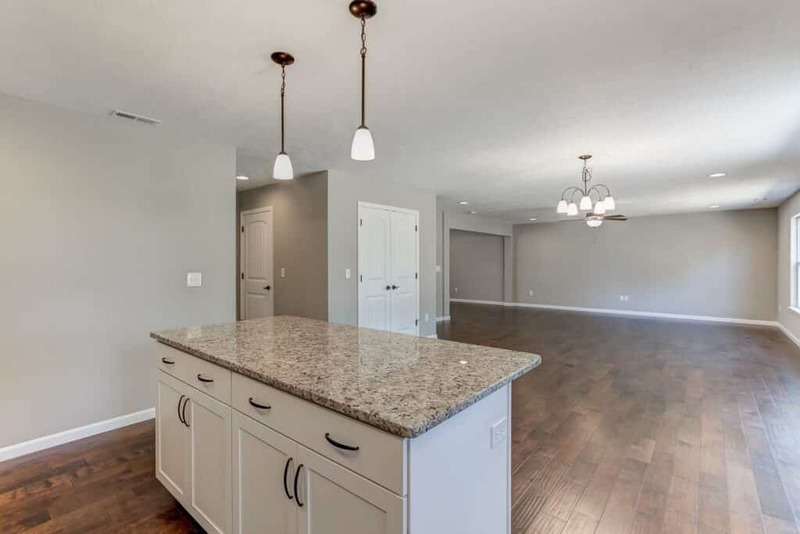 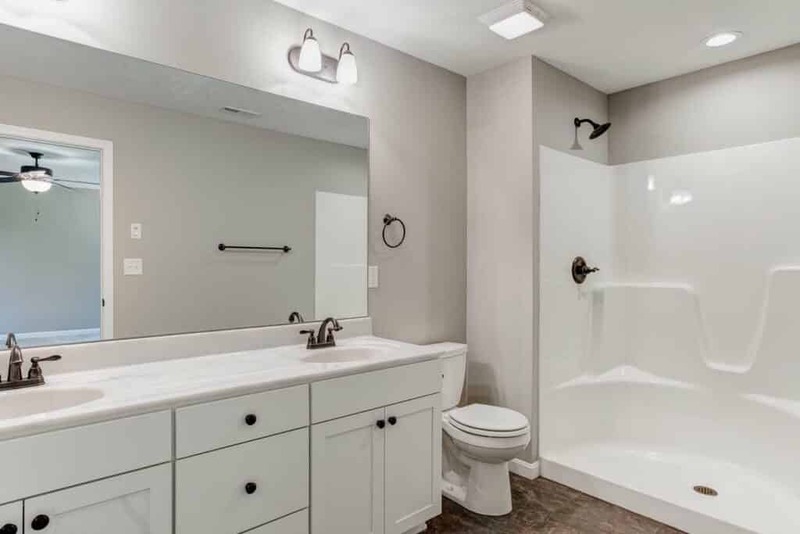 ft. two-level home features a 2-car garage with 4 bedrooms and 2.5 baths. 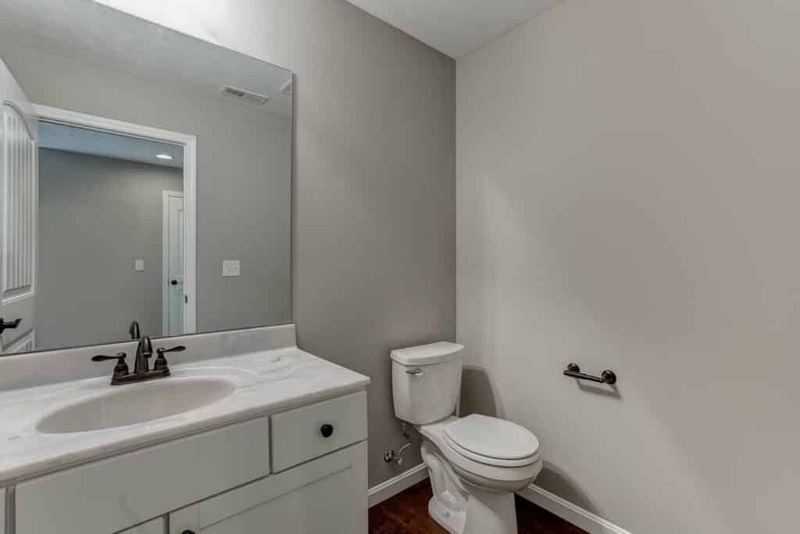 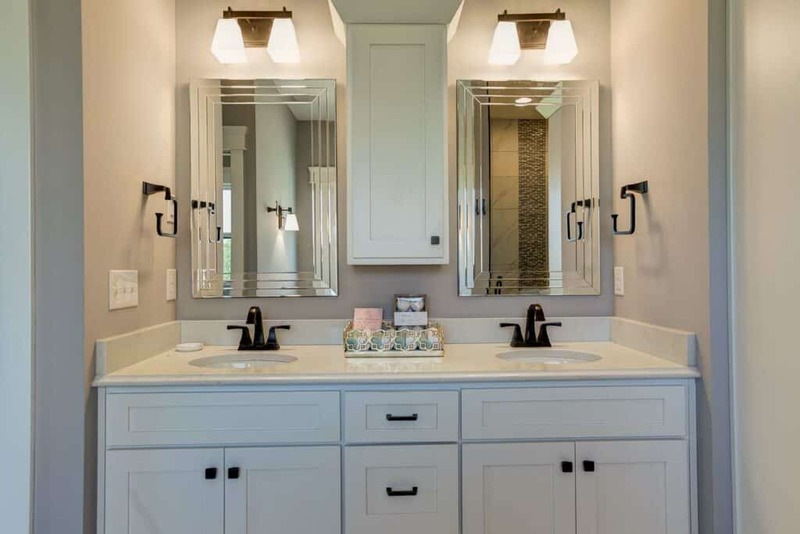 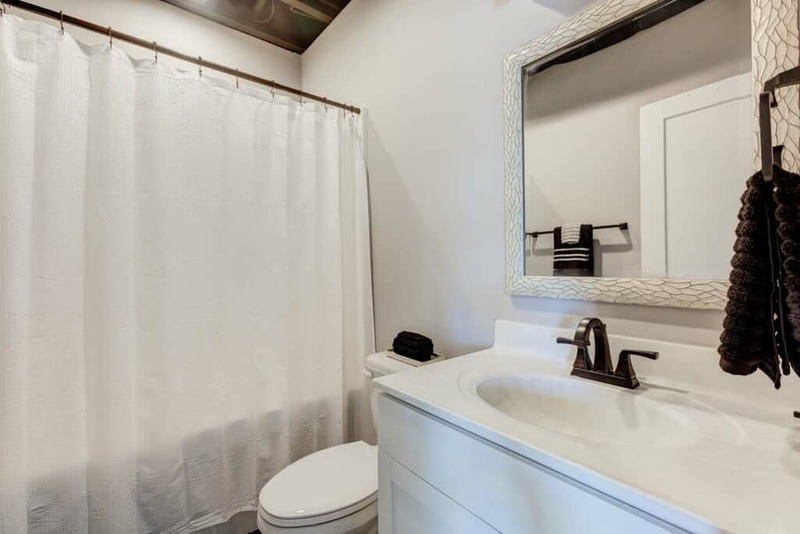 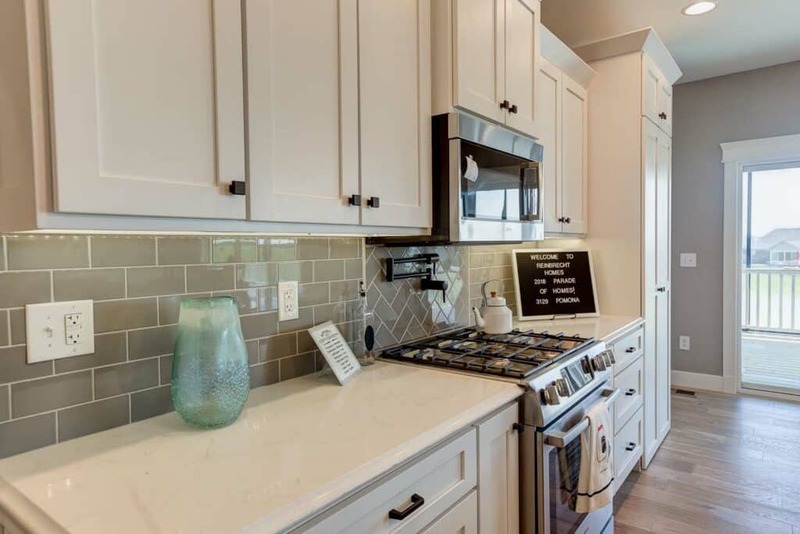 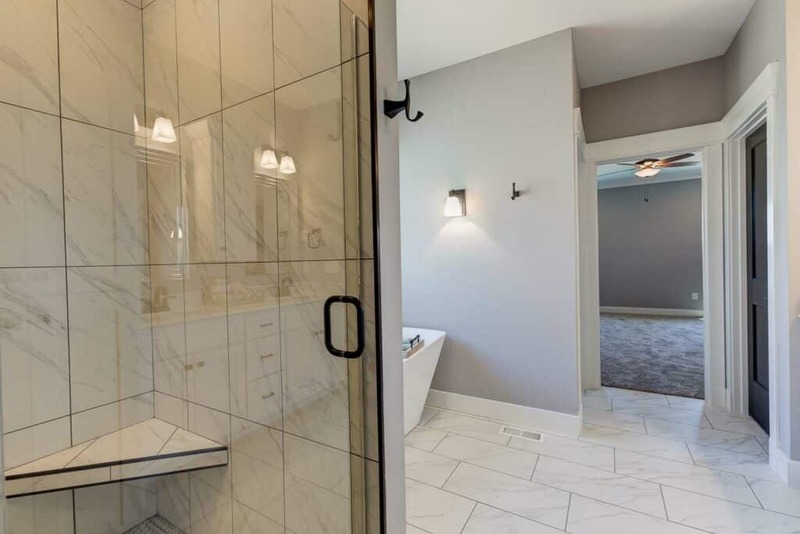 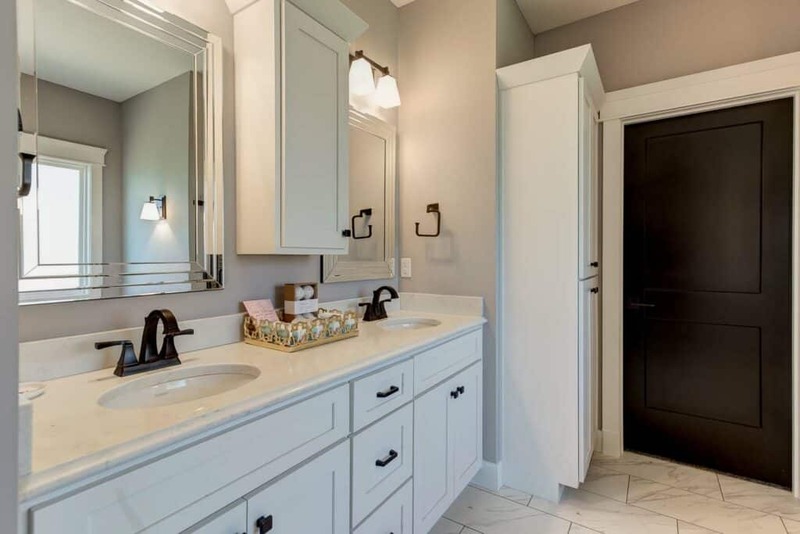 This home features castled cabinets and granite countertops in the kitchen and cultured marble countertops in the bathrooms. 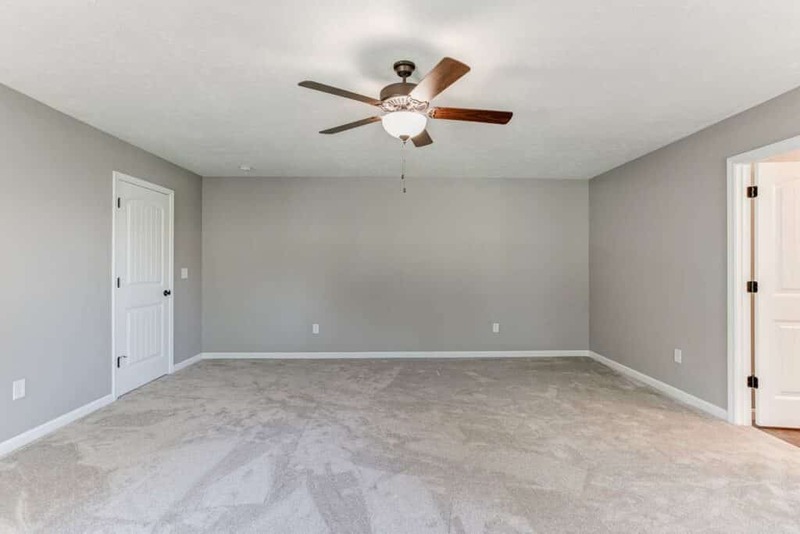 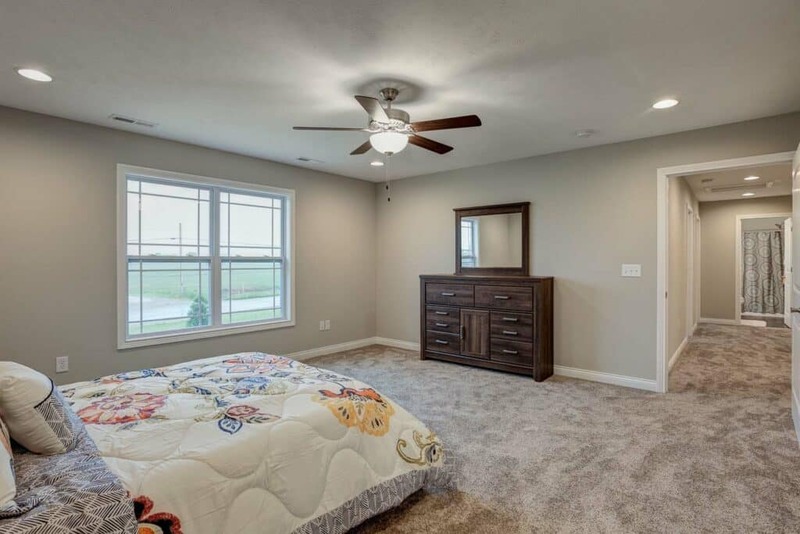 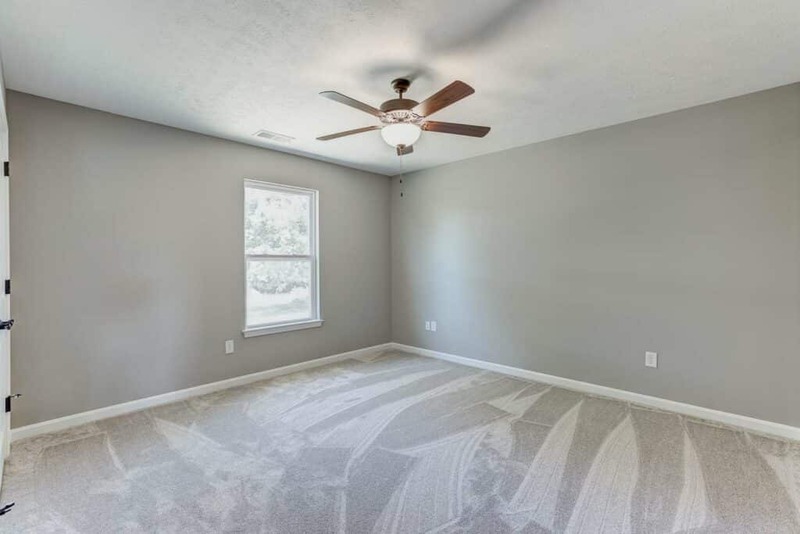 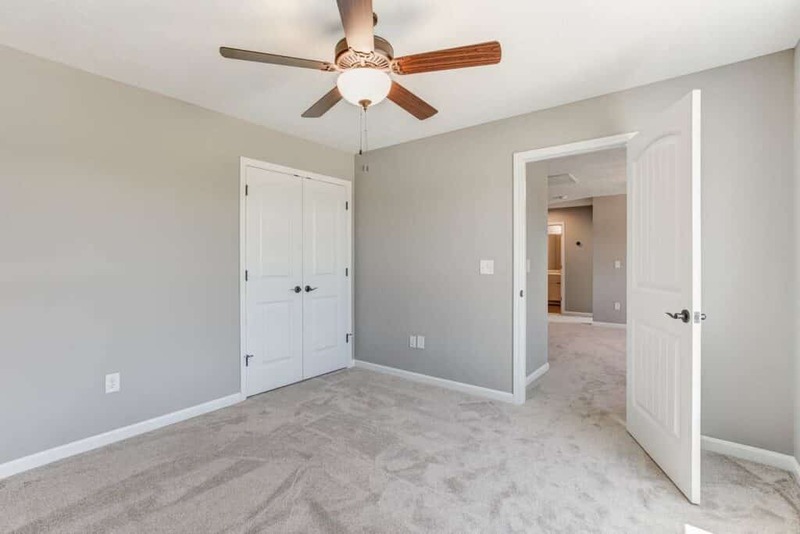 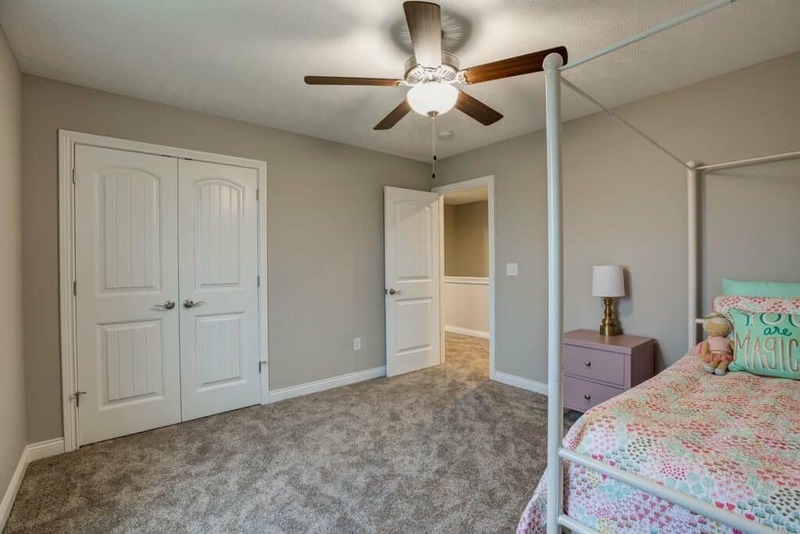 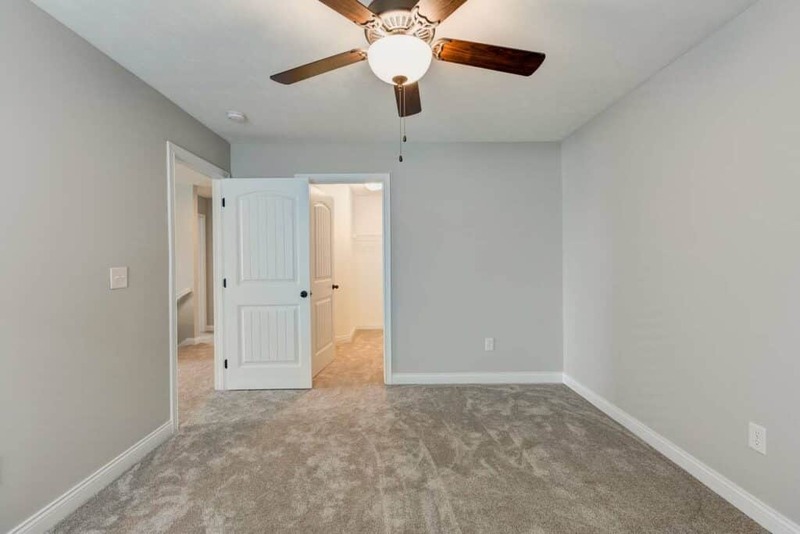 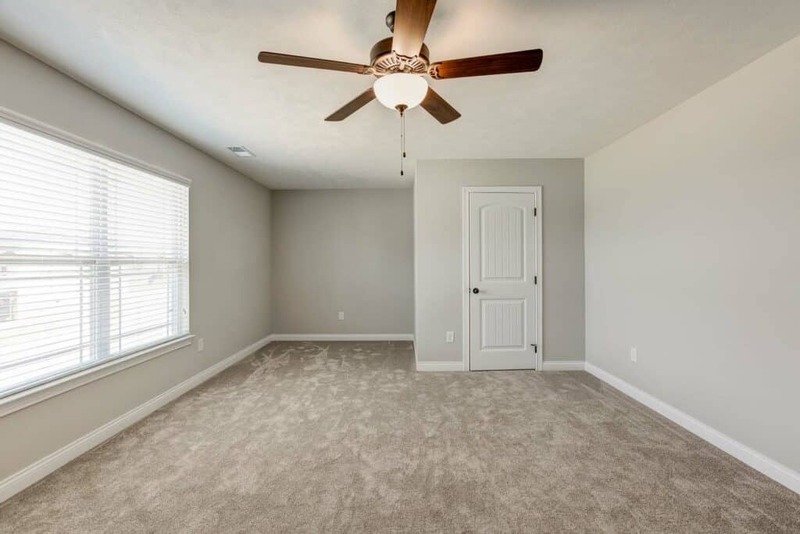 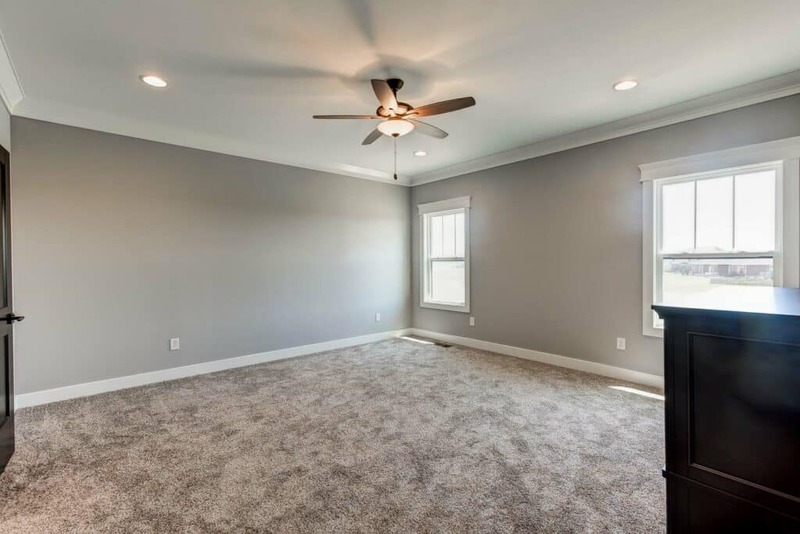 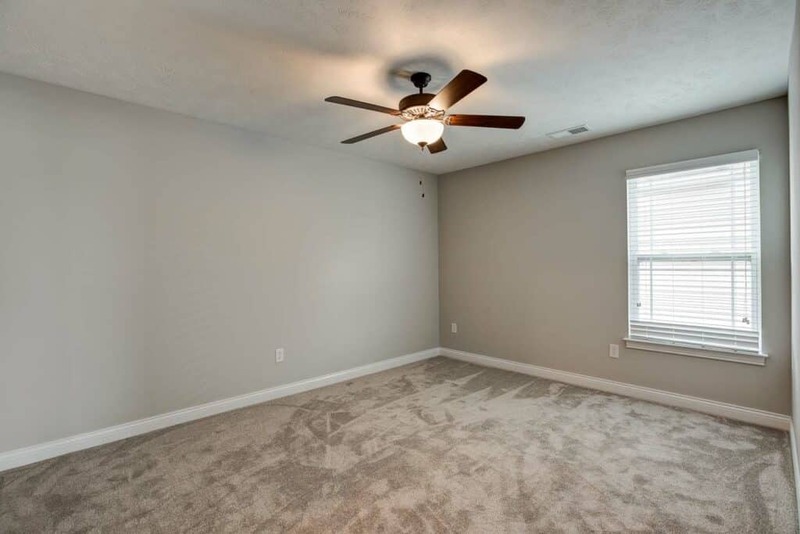 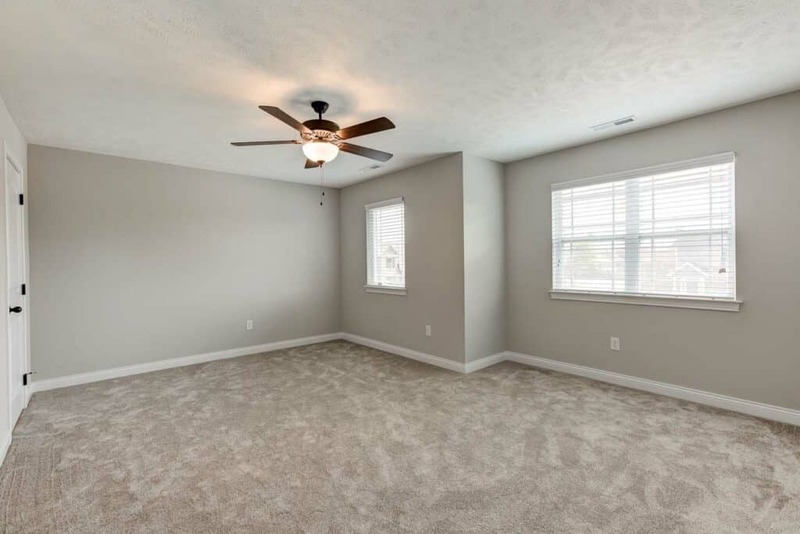 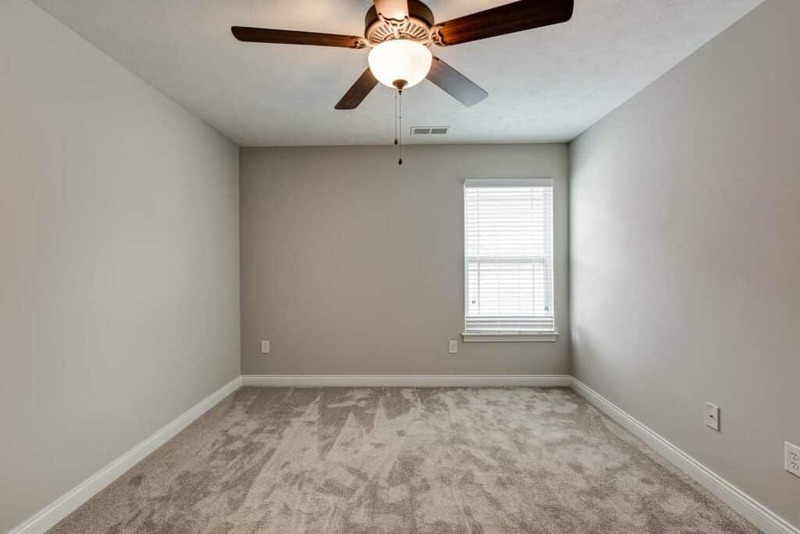 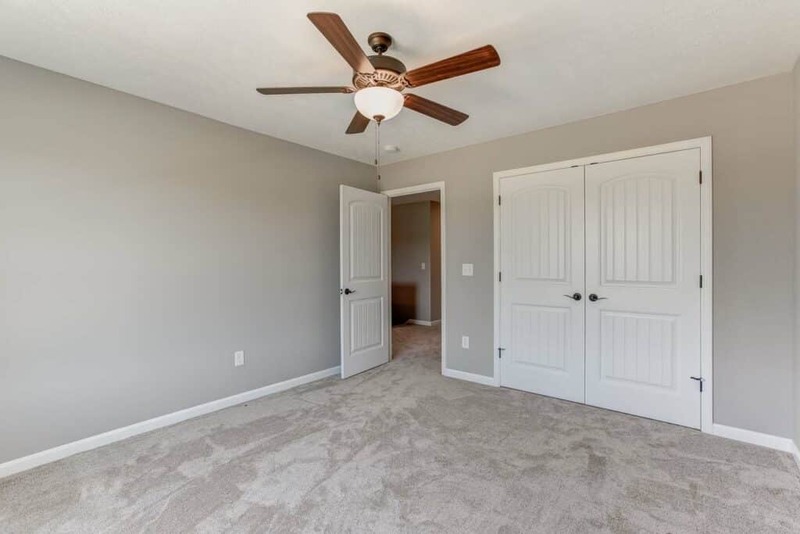 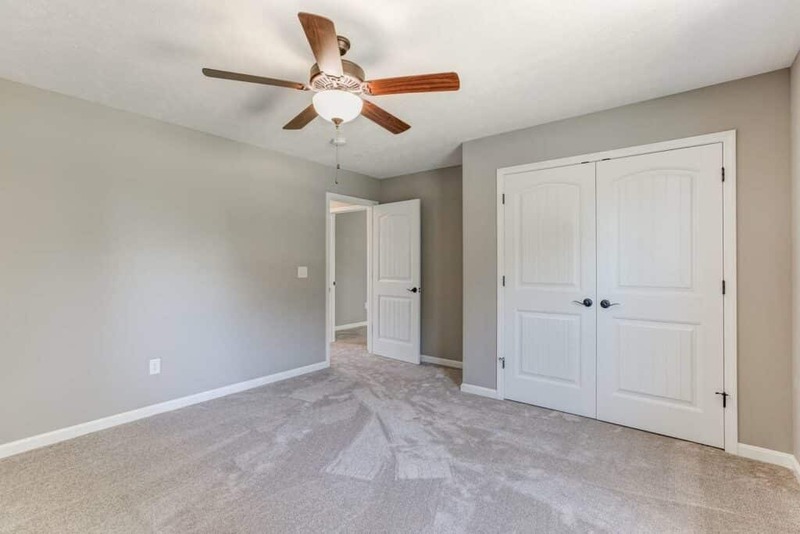 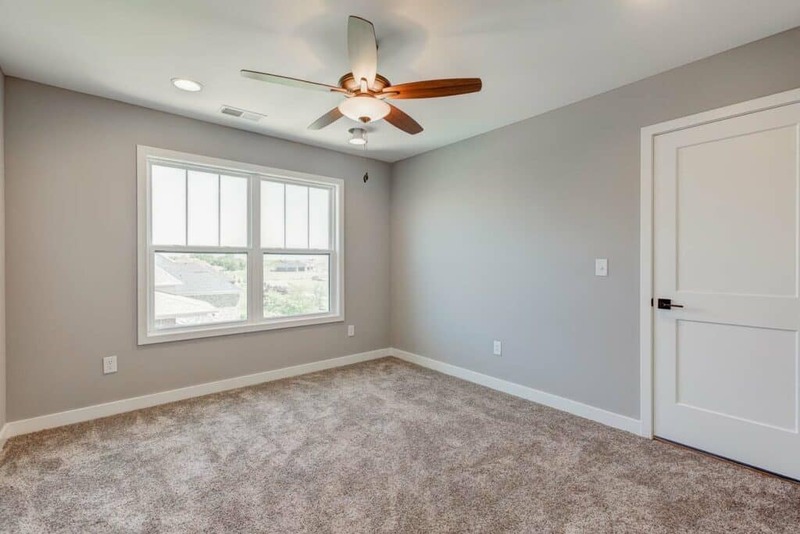 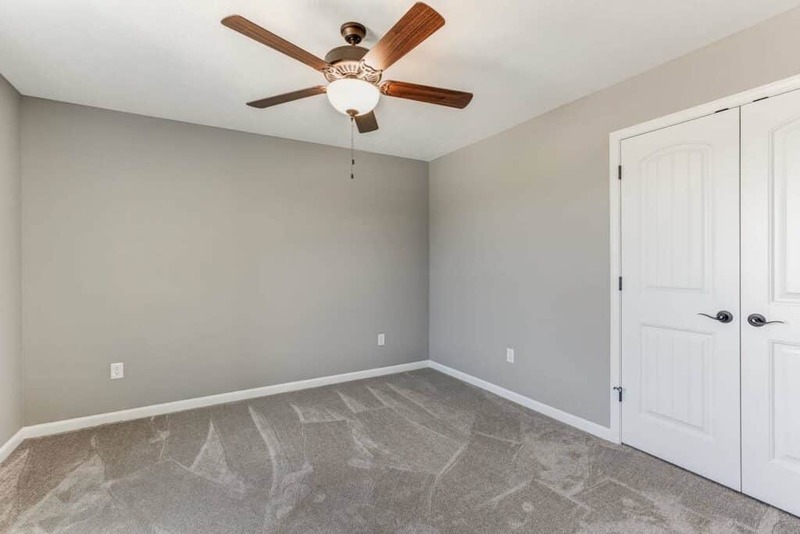 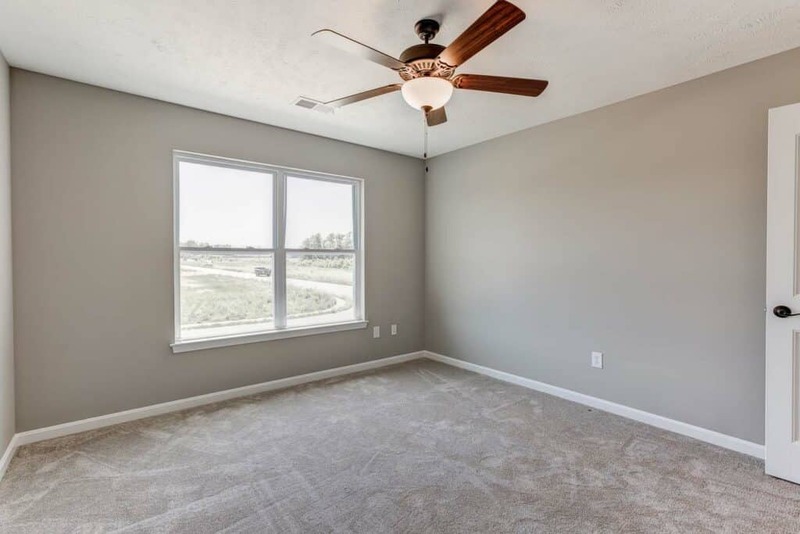 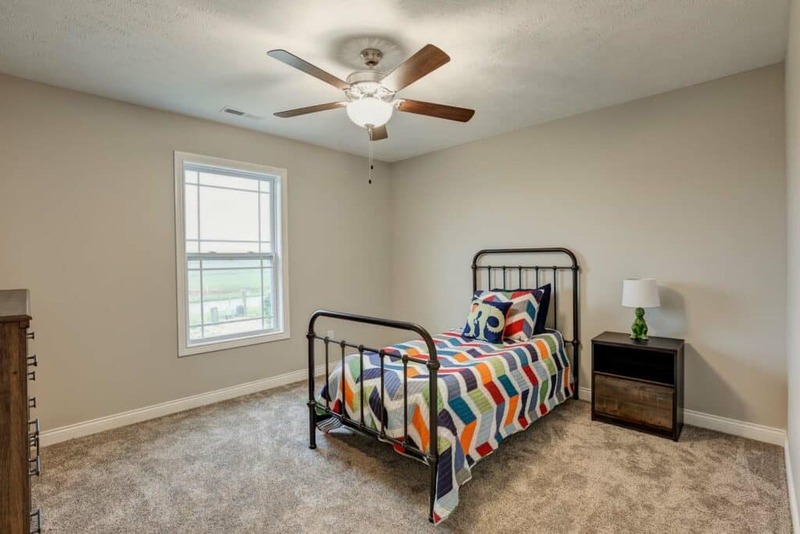 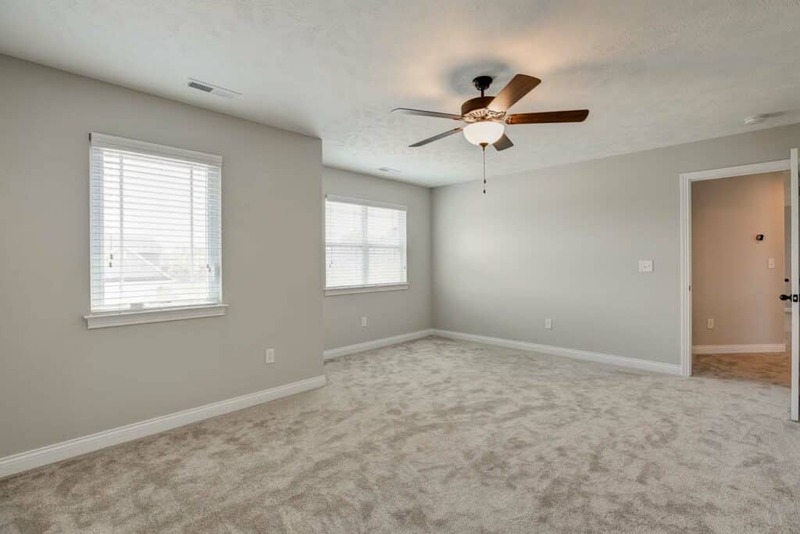 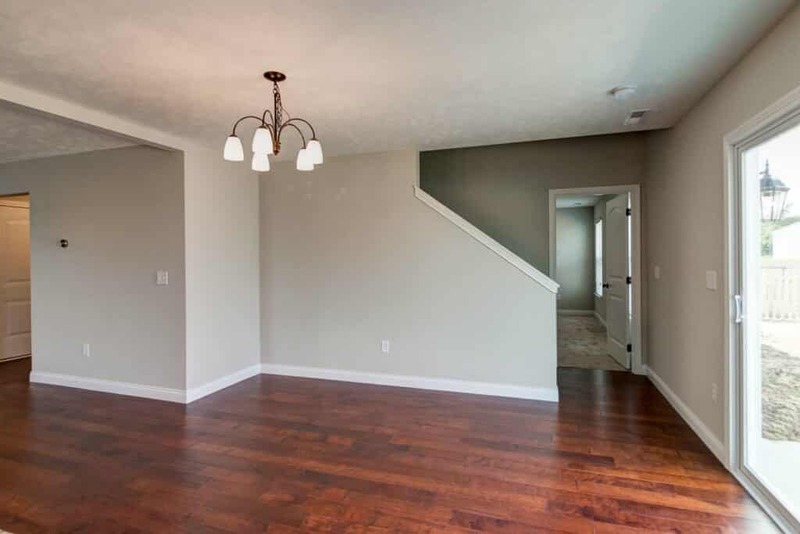 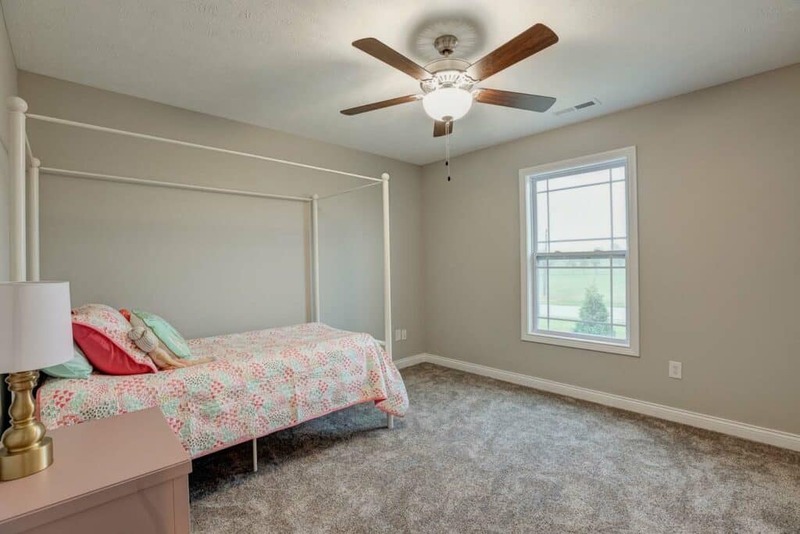 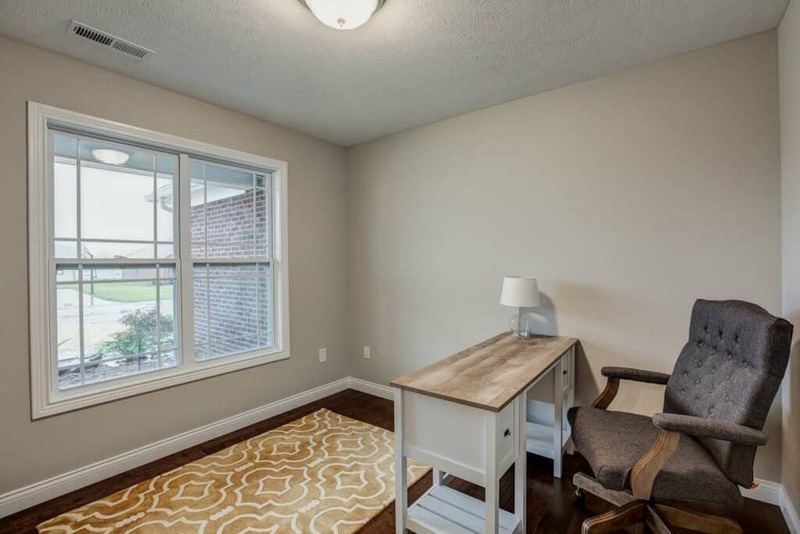 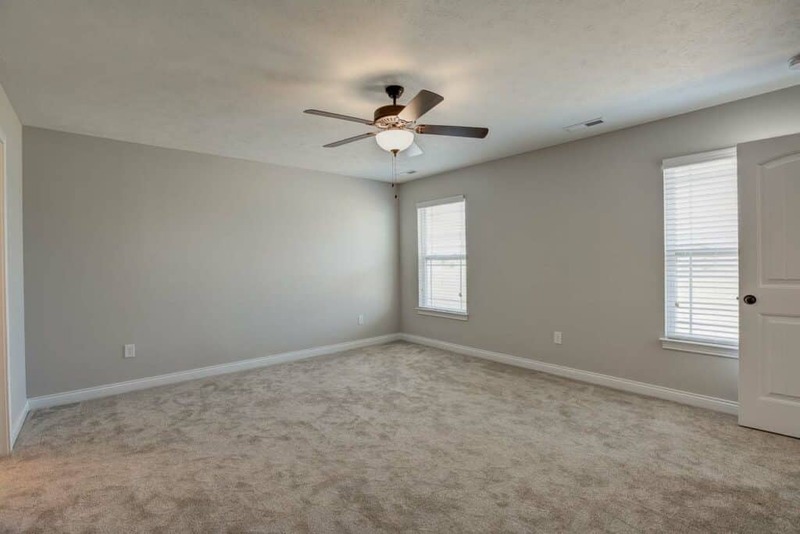 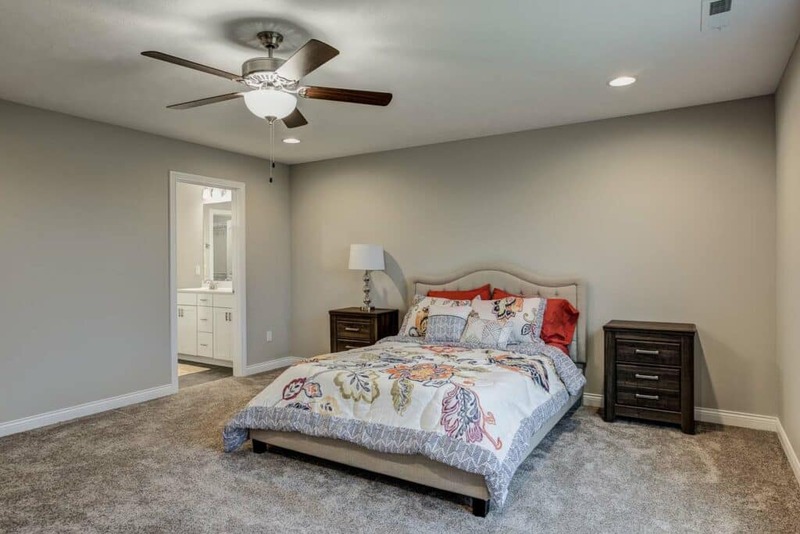 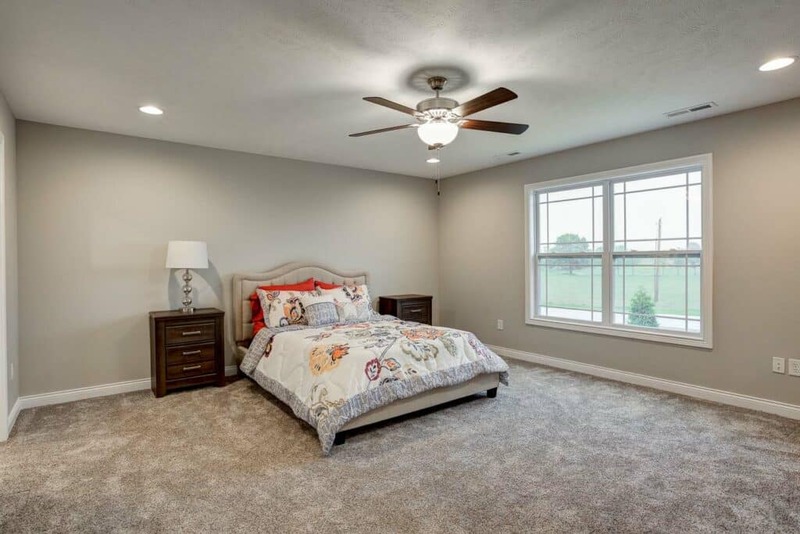 Beautiful hardwood floors are featured throughout the main level of the home with carpet in all the bedrooms. 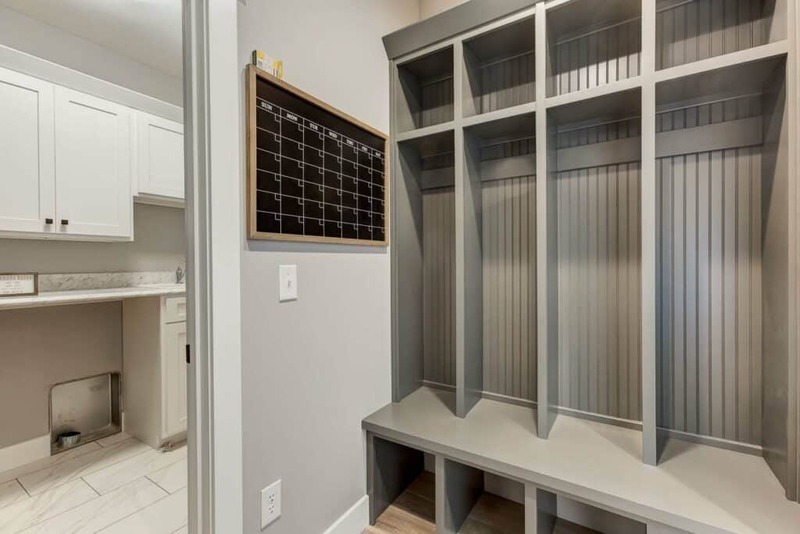 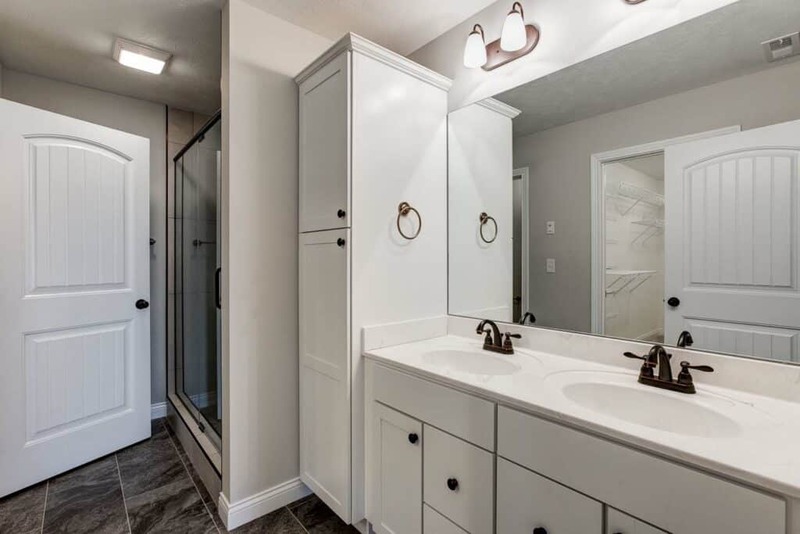 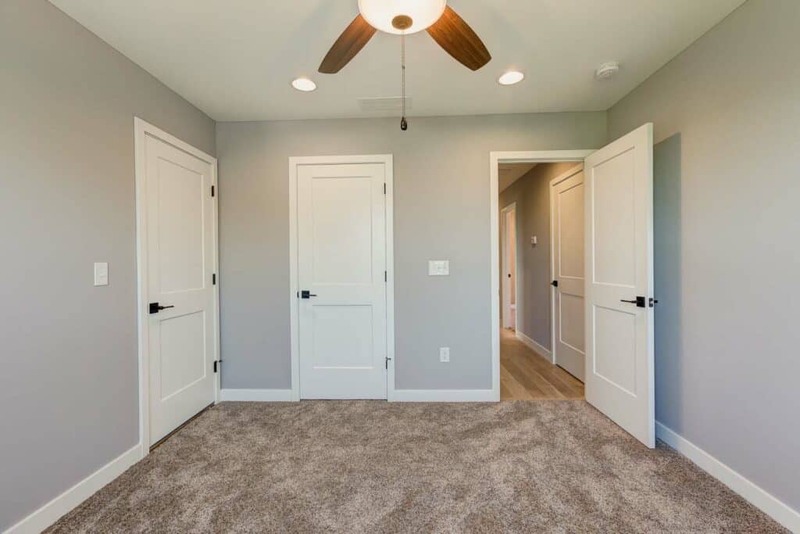 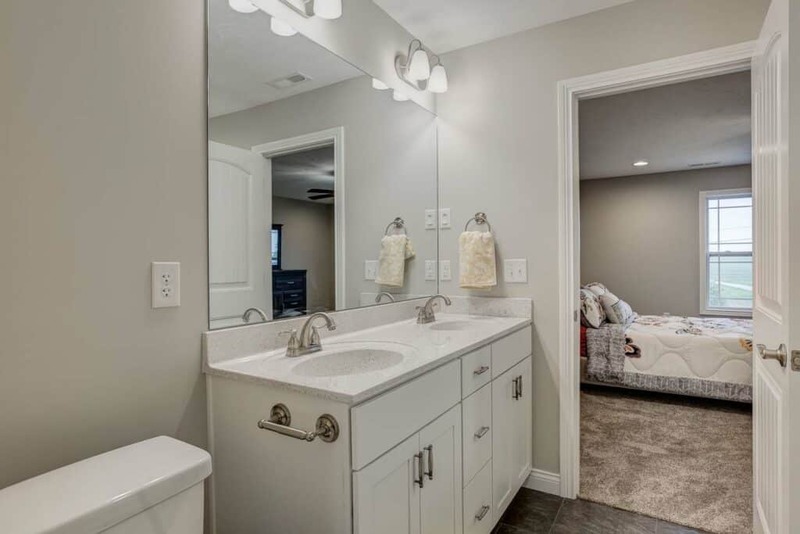 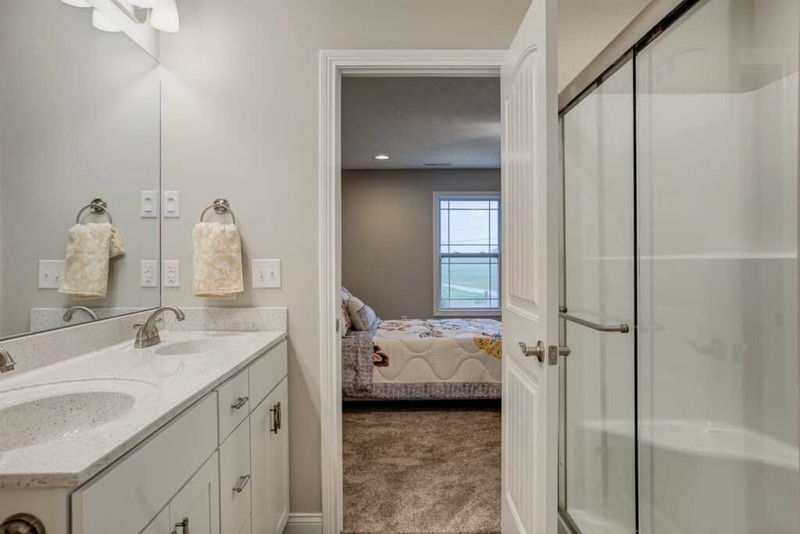 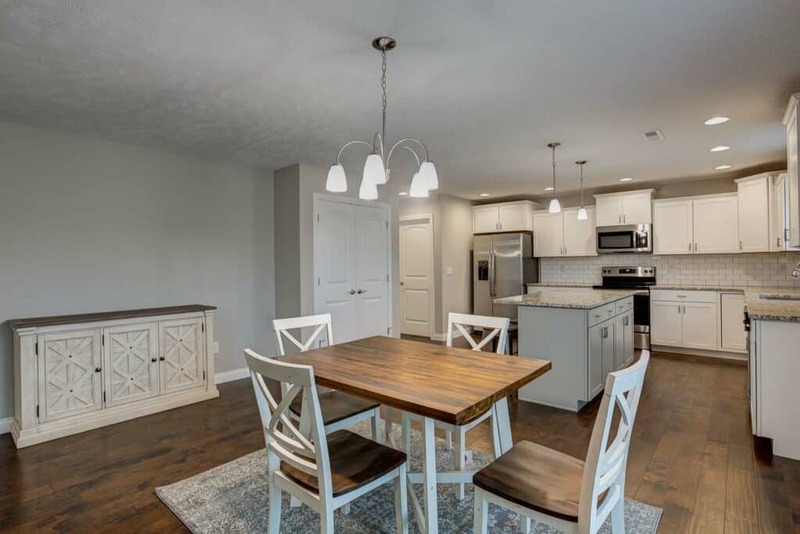 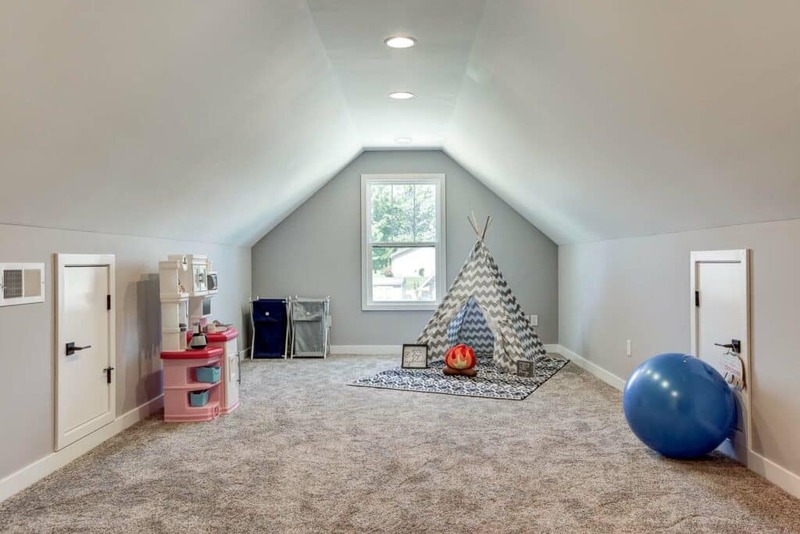 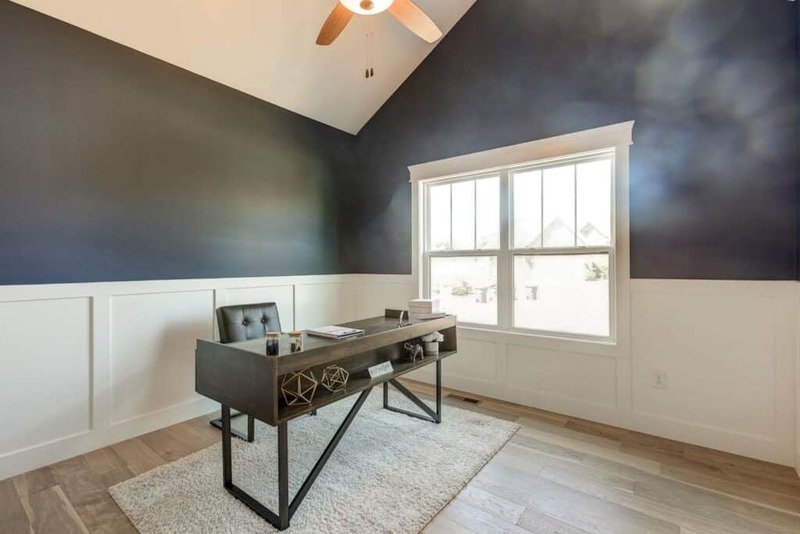 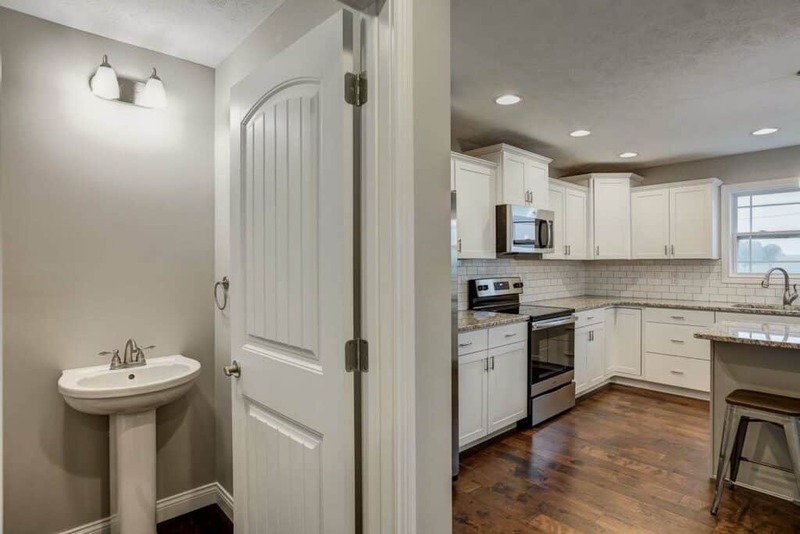 Additional features in this home include a bonus room, study, pantry and custom-built wood lockers as you enter from the garage. 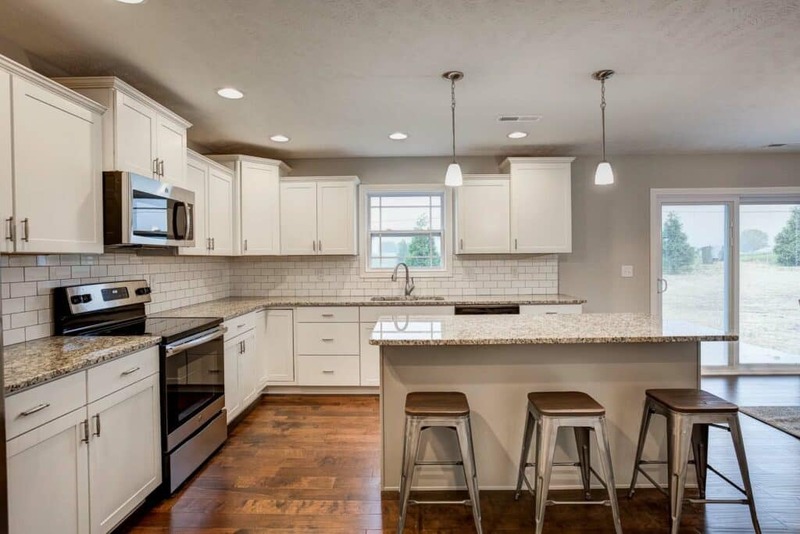 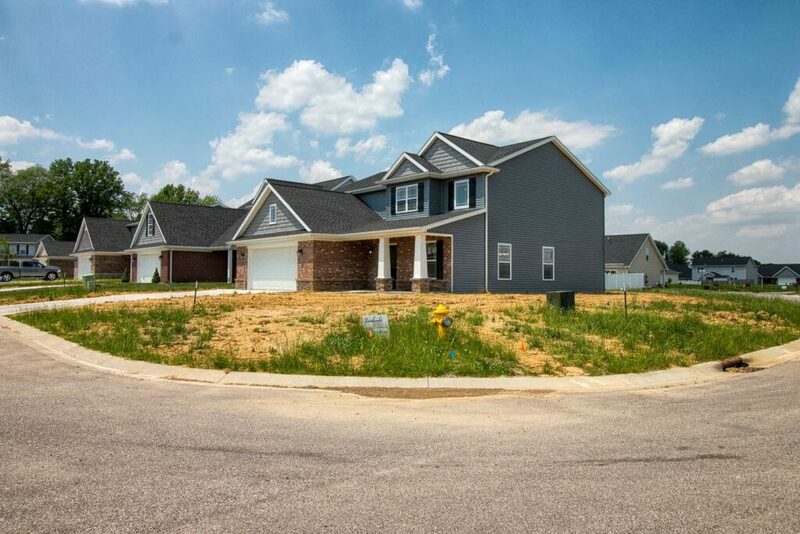 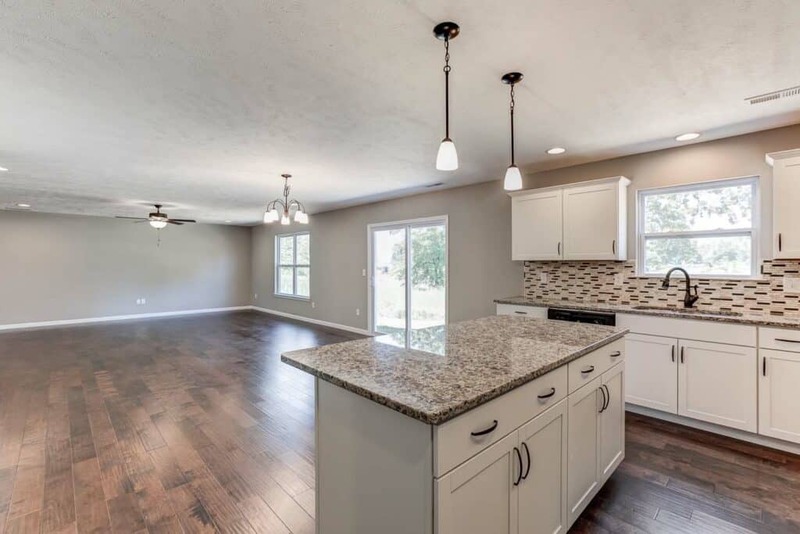 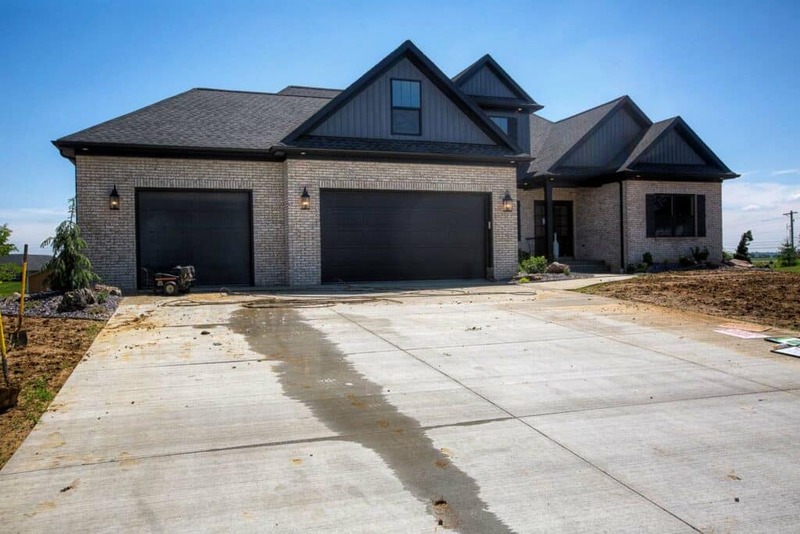 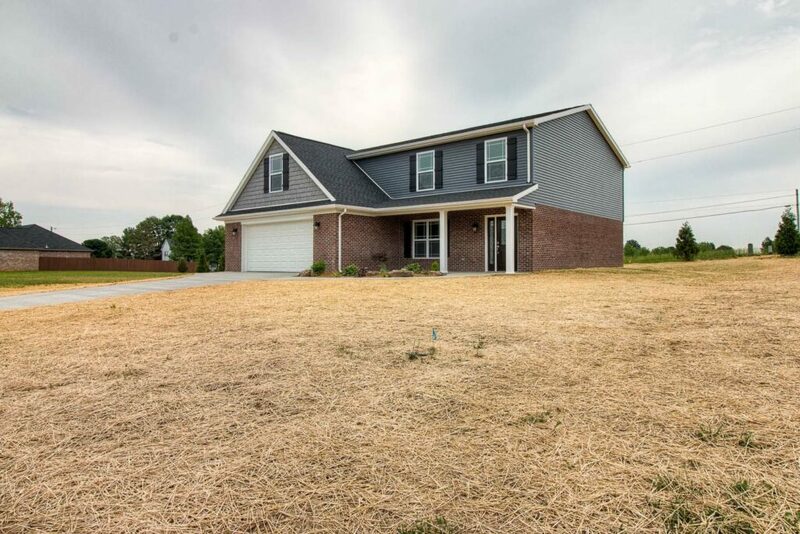 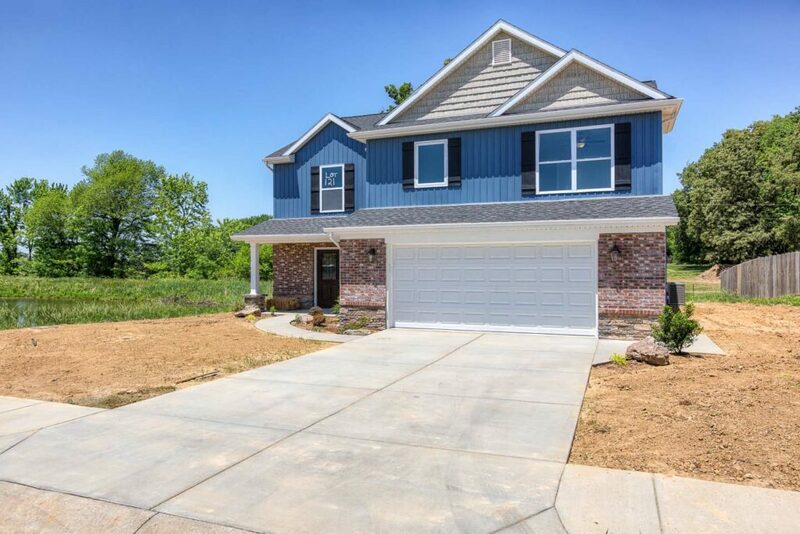 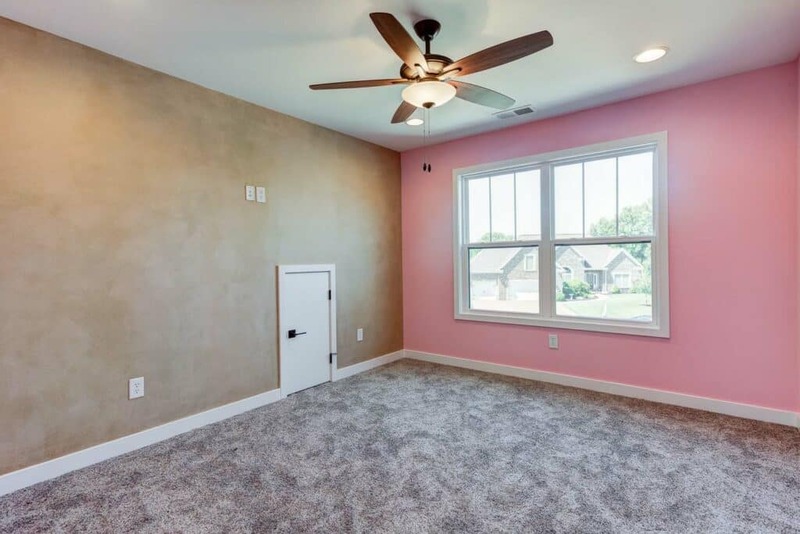 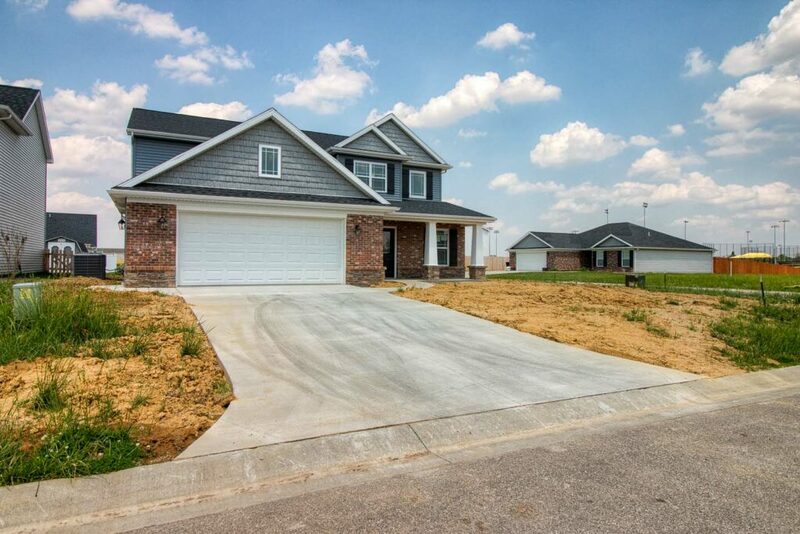 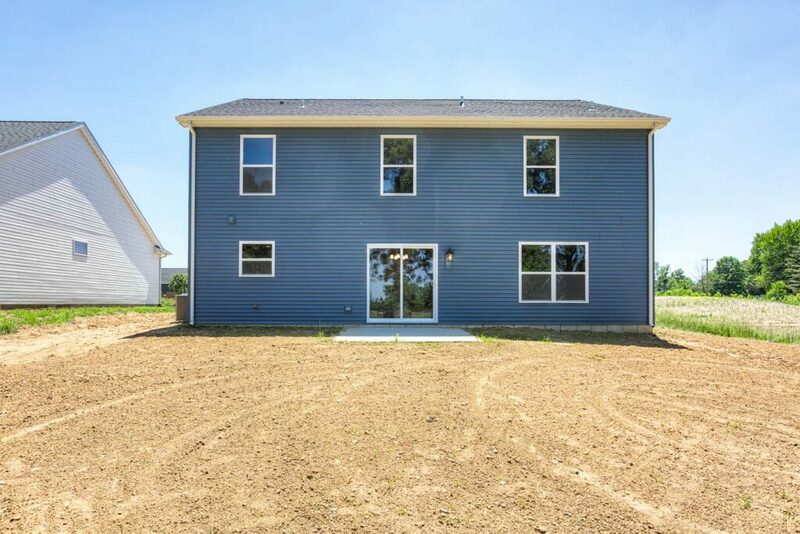 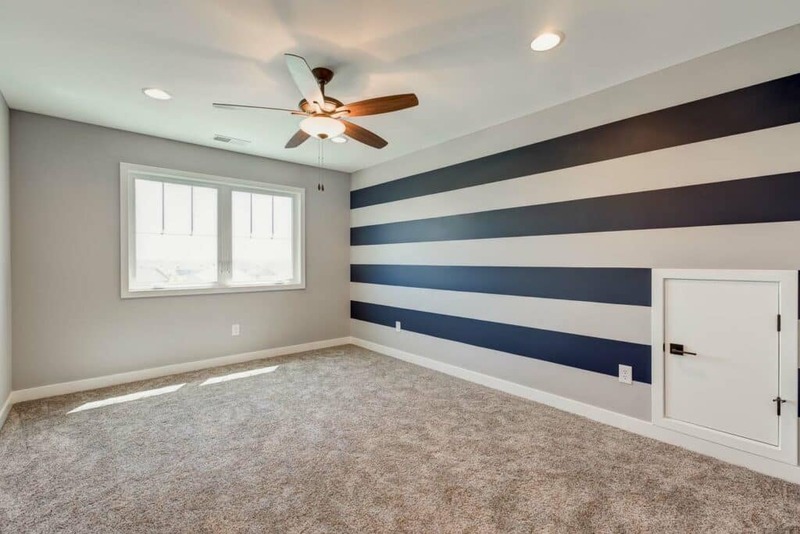 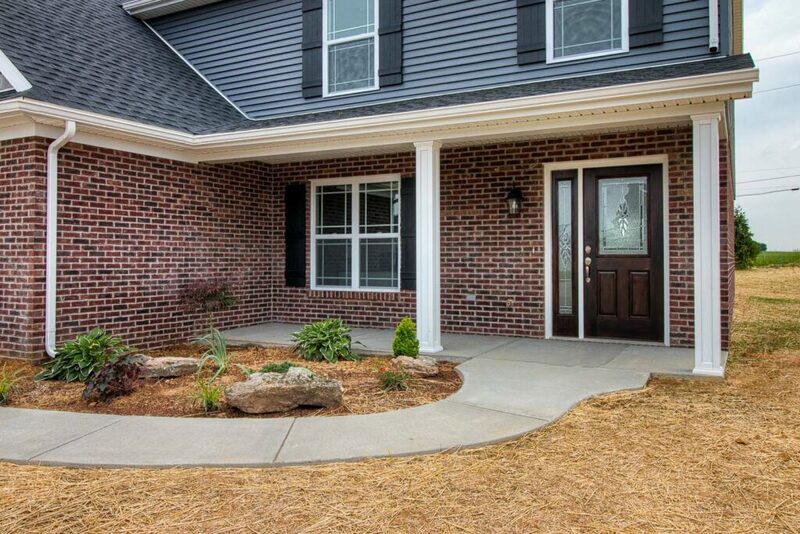 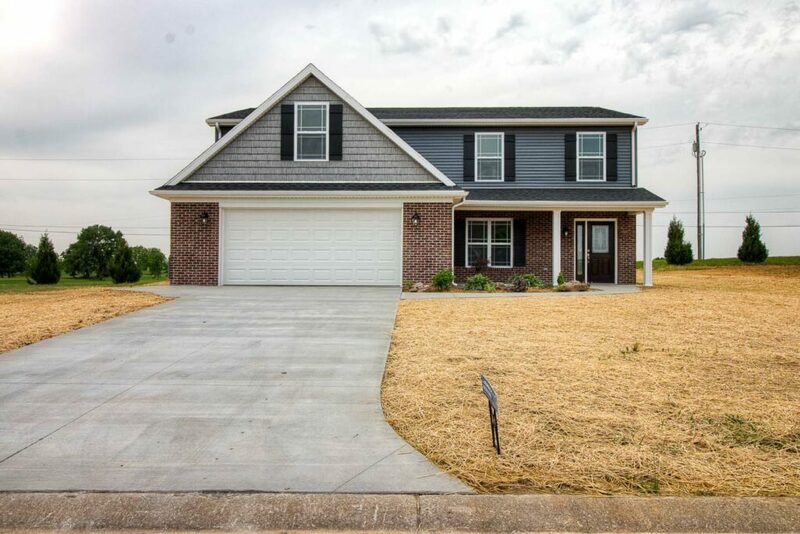 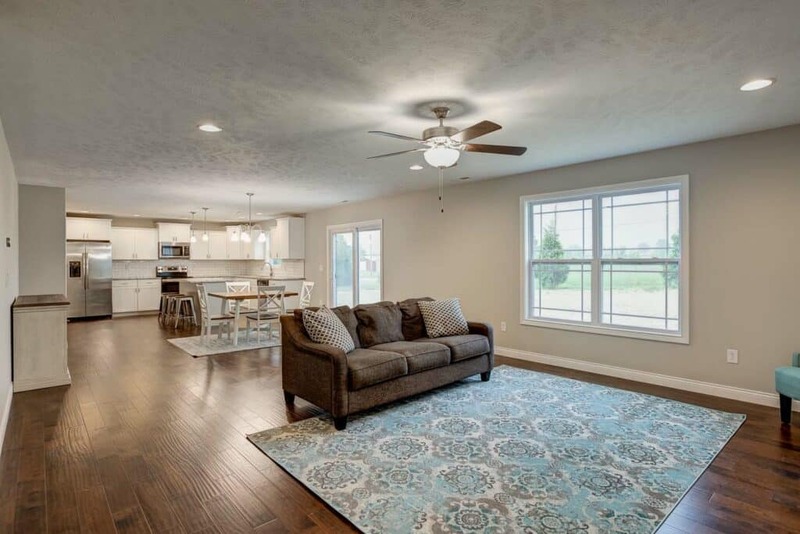 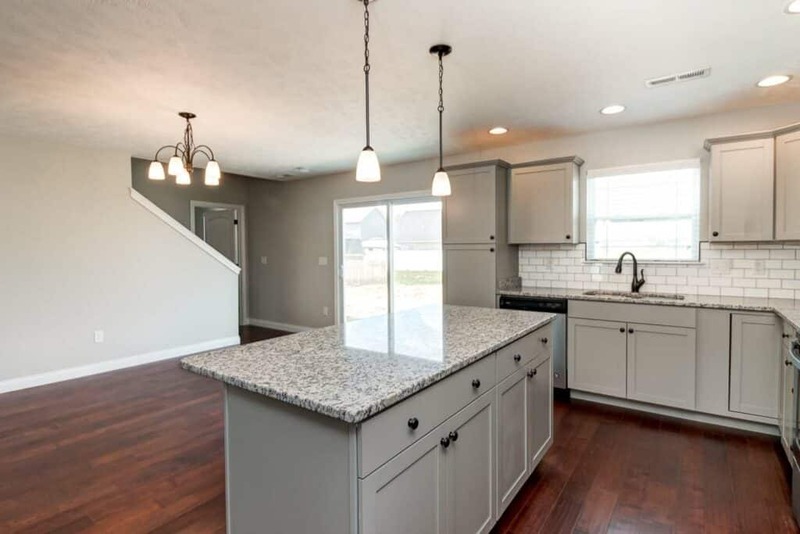 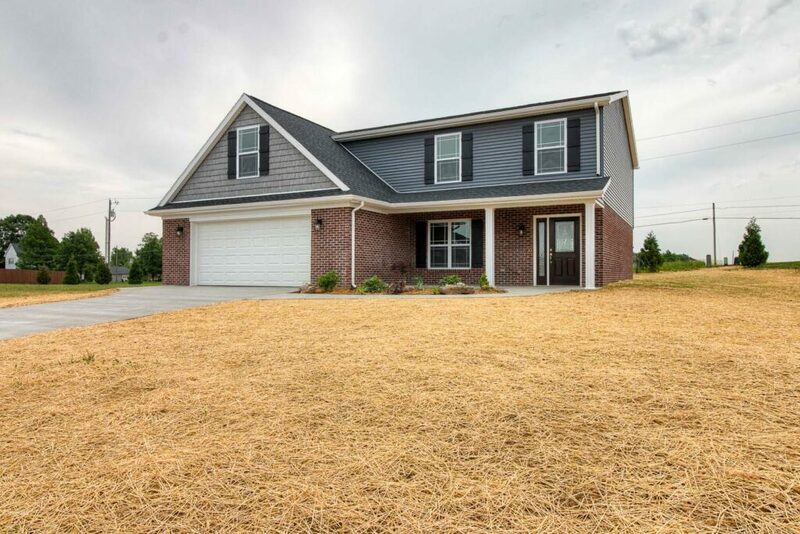 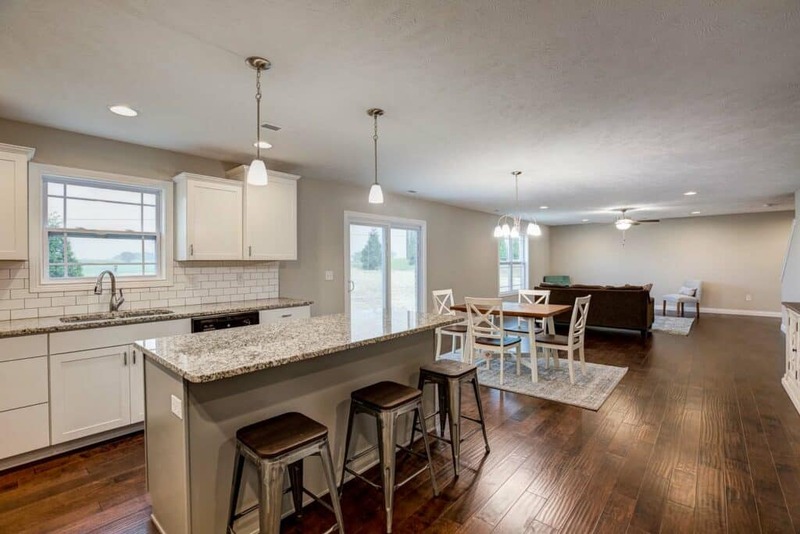 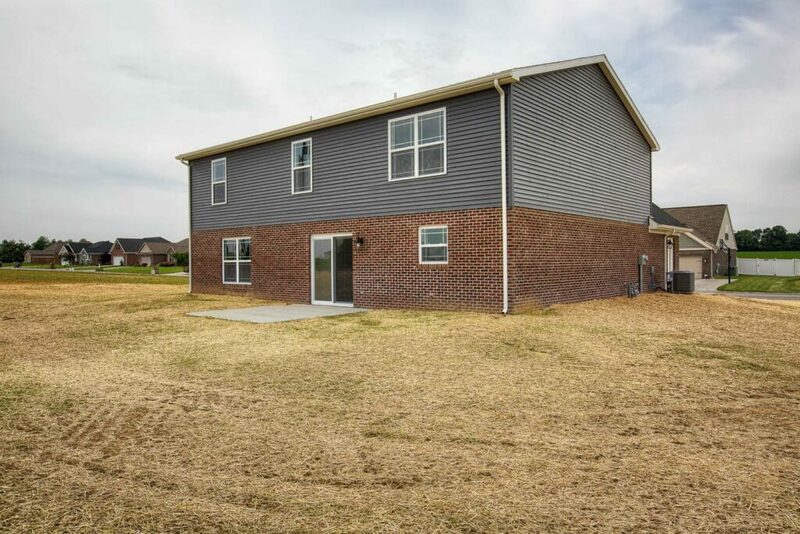 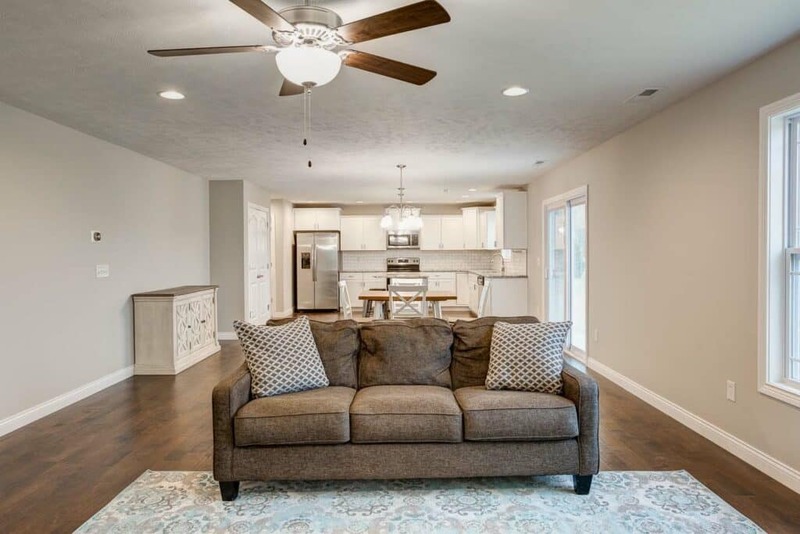 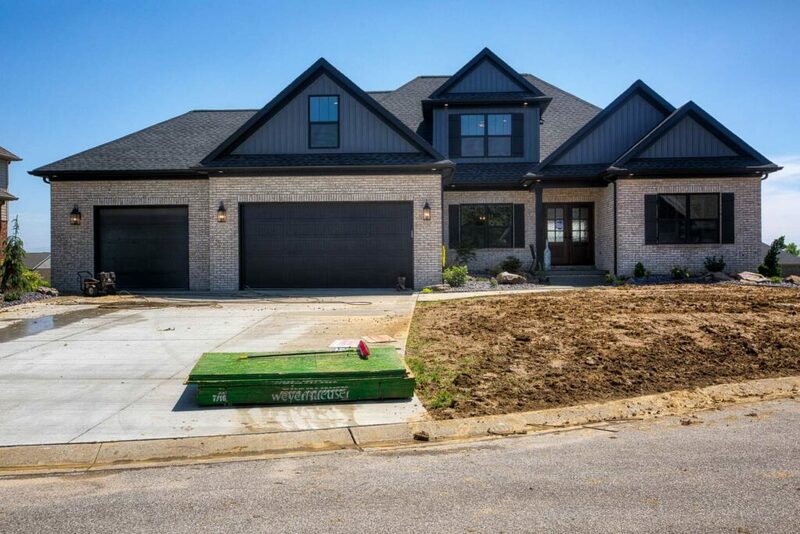 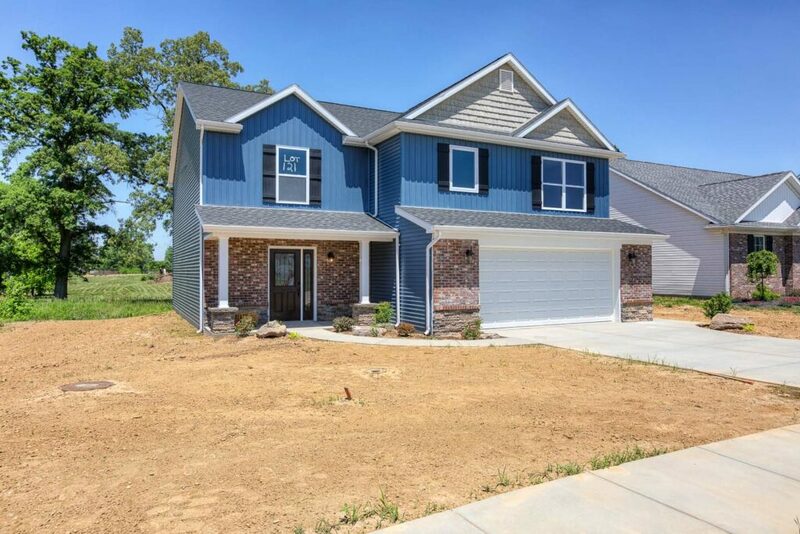 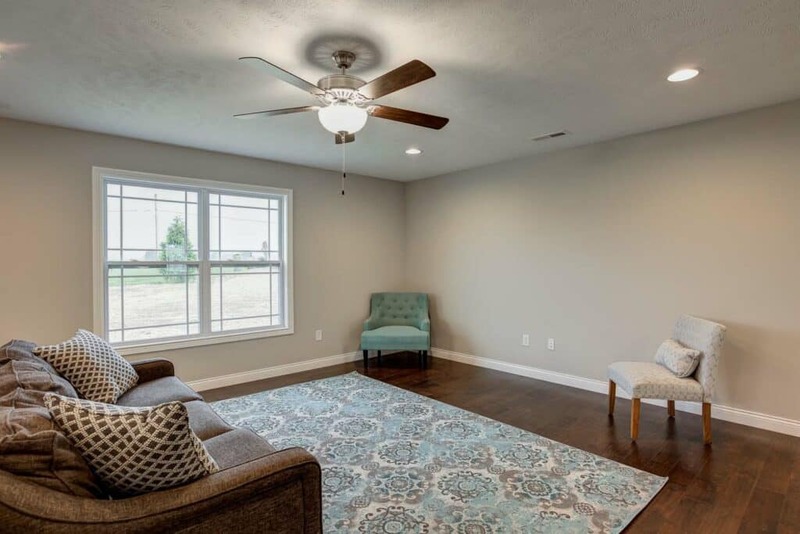 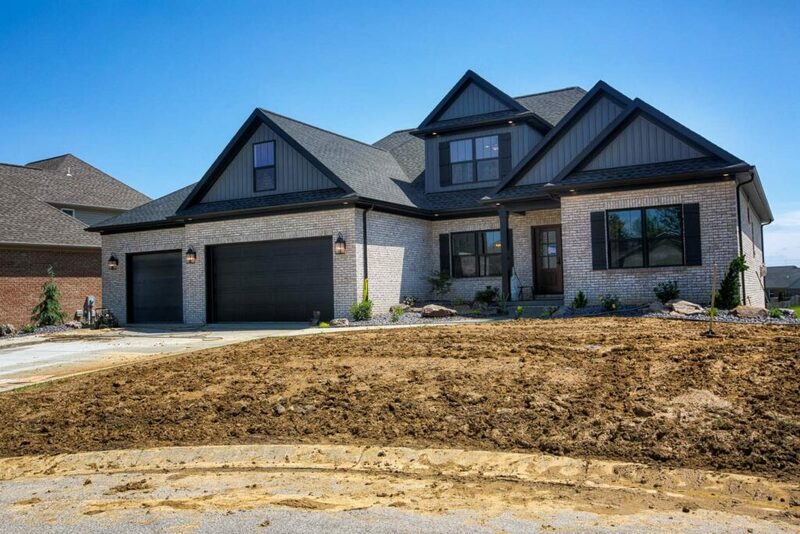 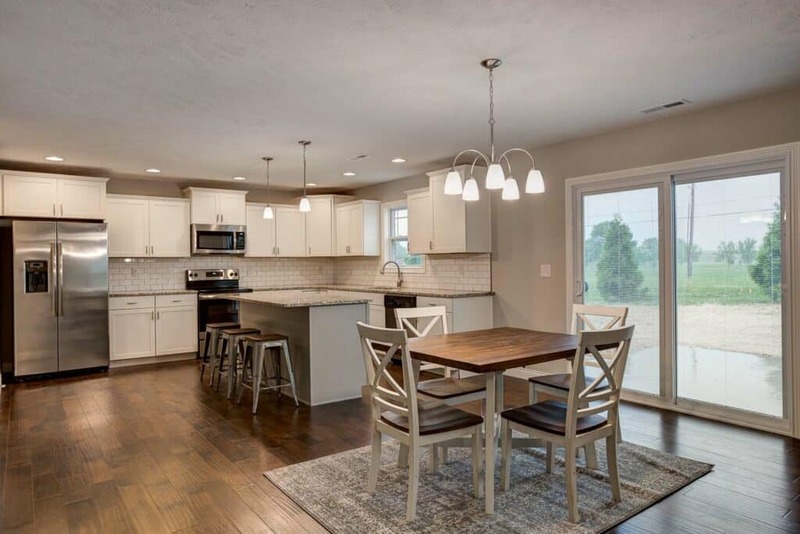 Consisting of a 3-car garage, 5 bedrooms and 3 baths this home located on the east side of Evansville; features 3,059 sq. 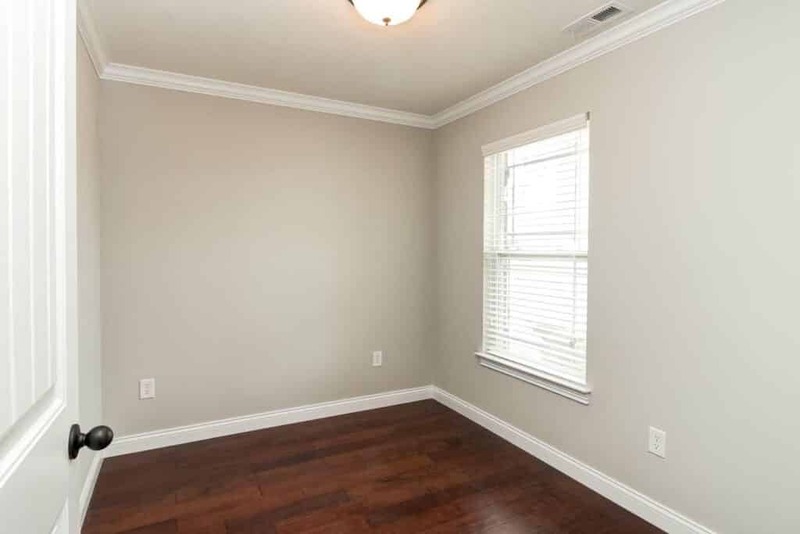 ft. of exquisite details. 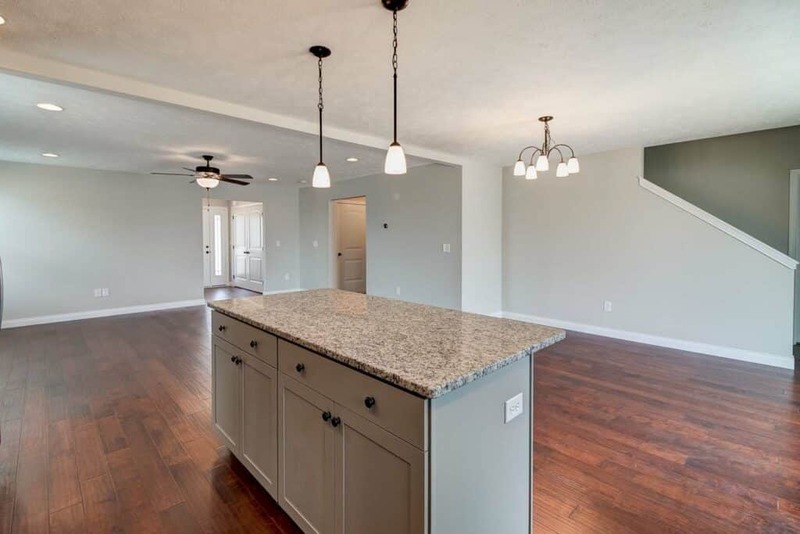 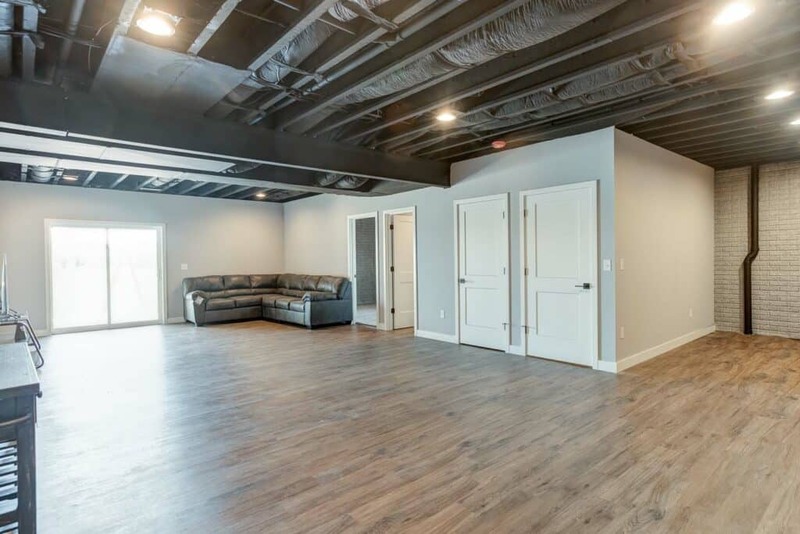 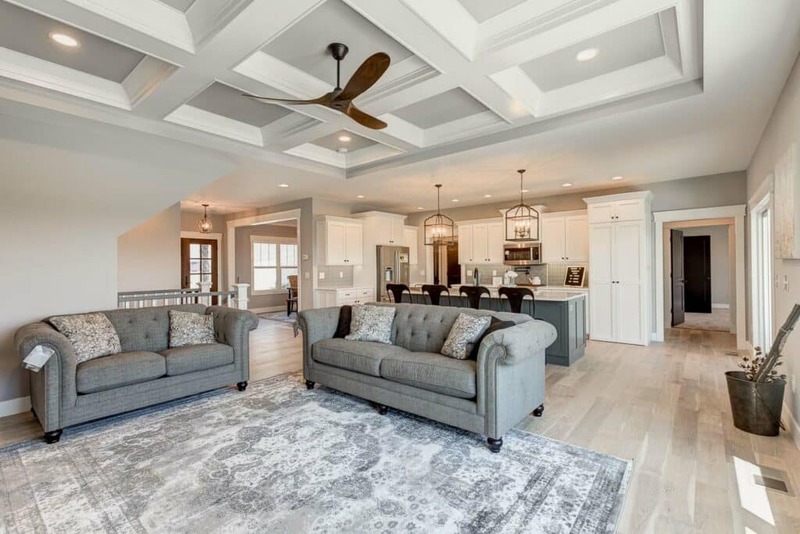 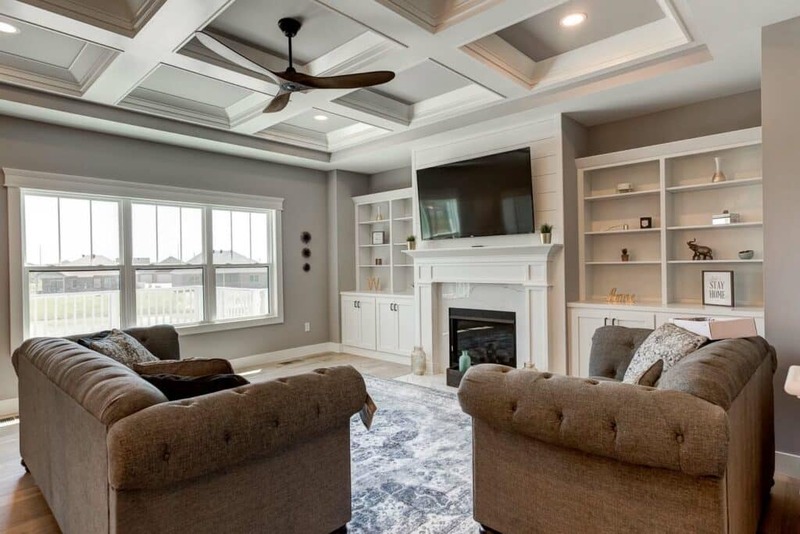 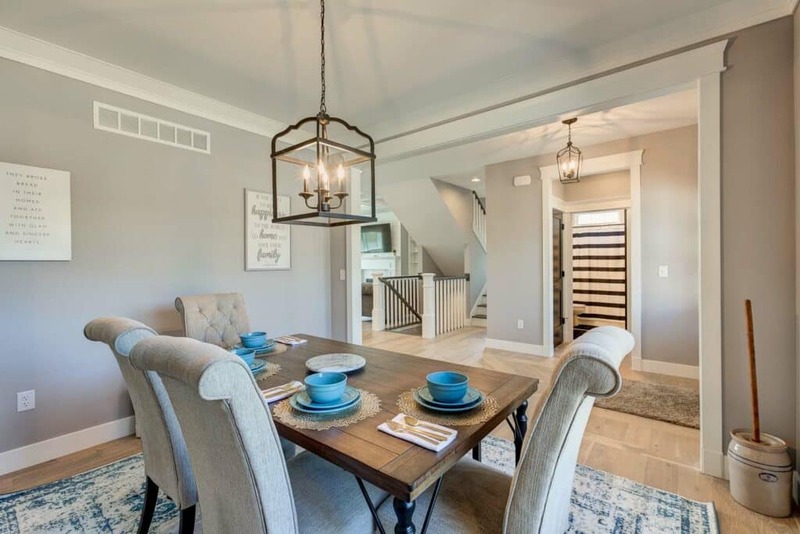 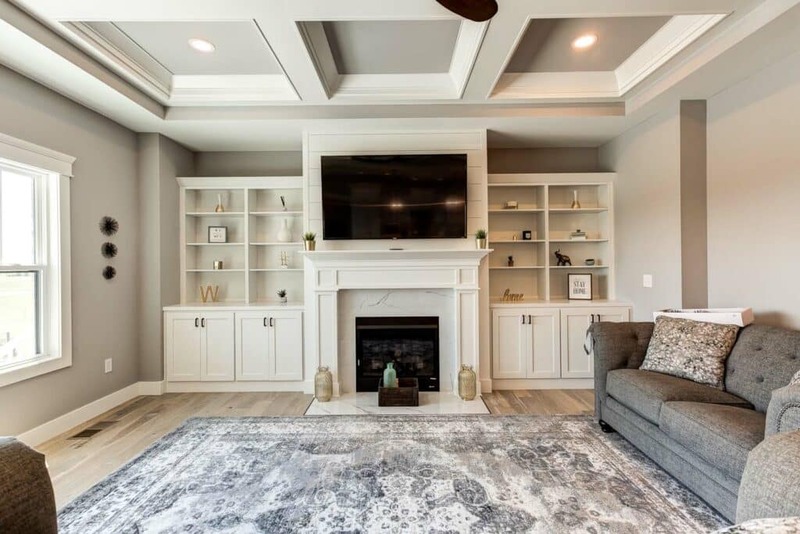 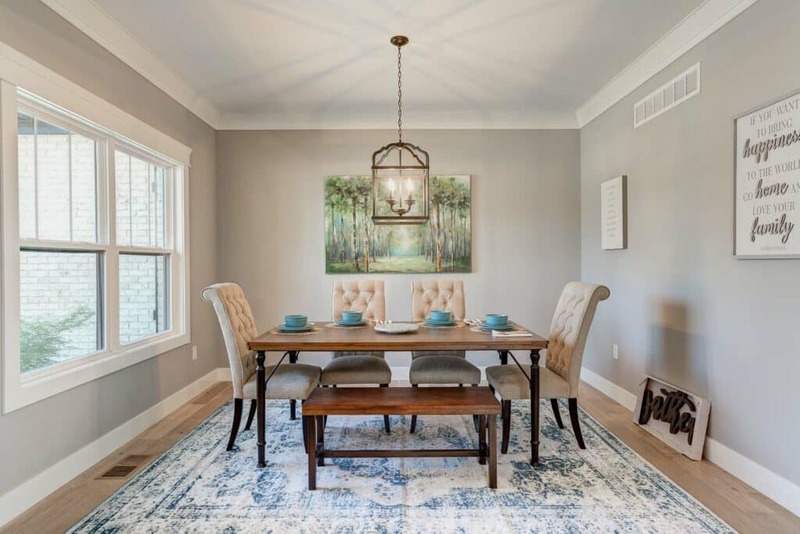 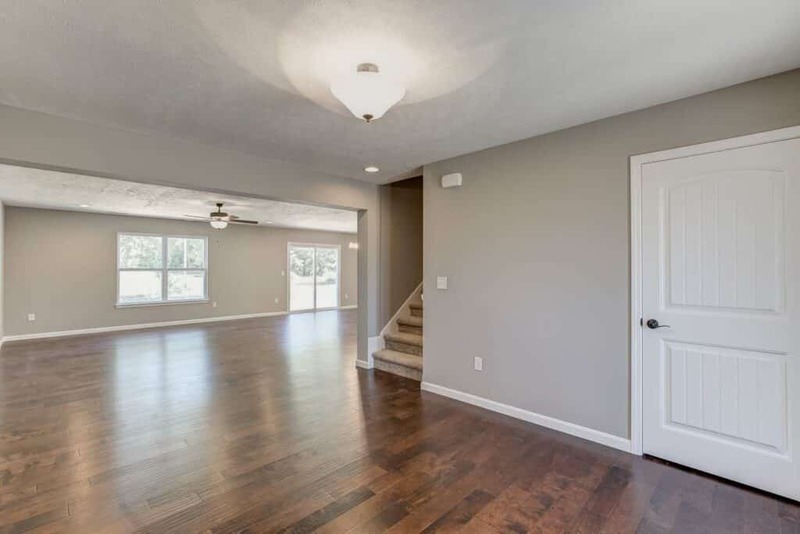 The open floor plan offers a coffered ceiling and fireplace. 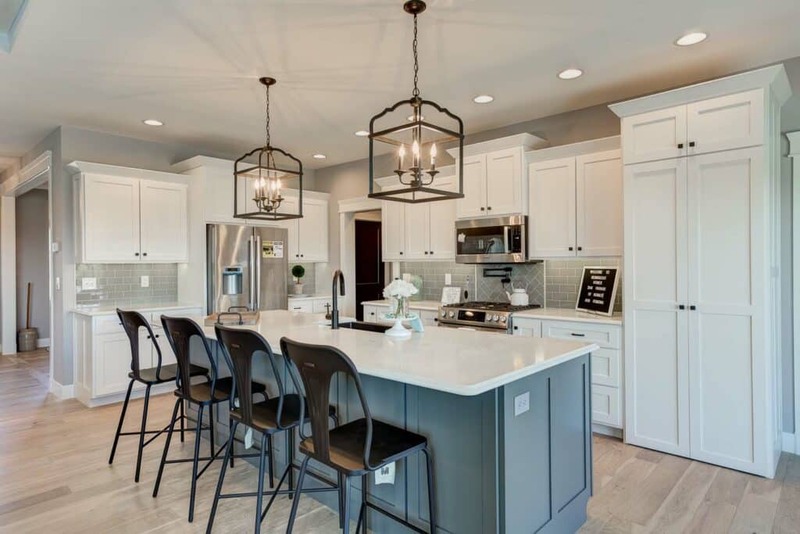 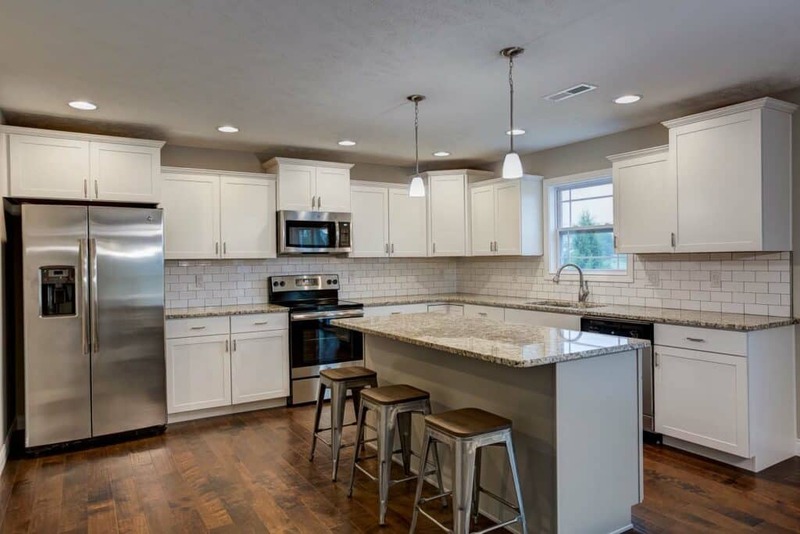 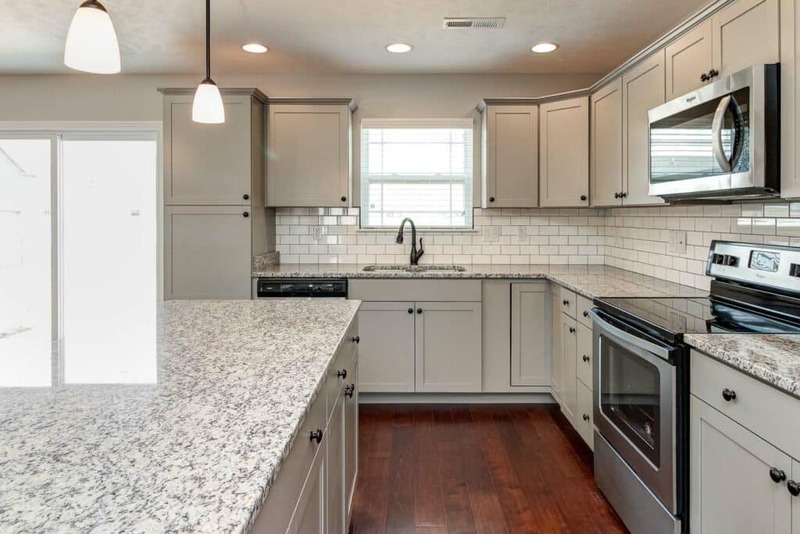 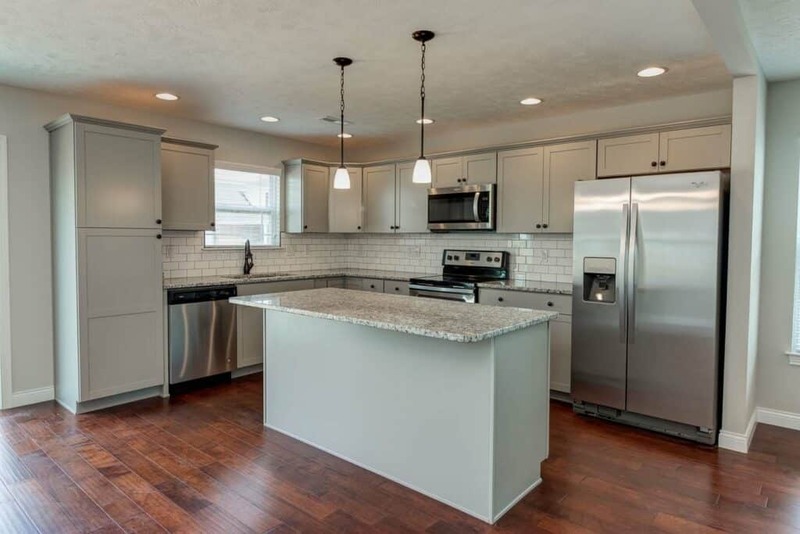 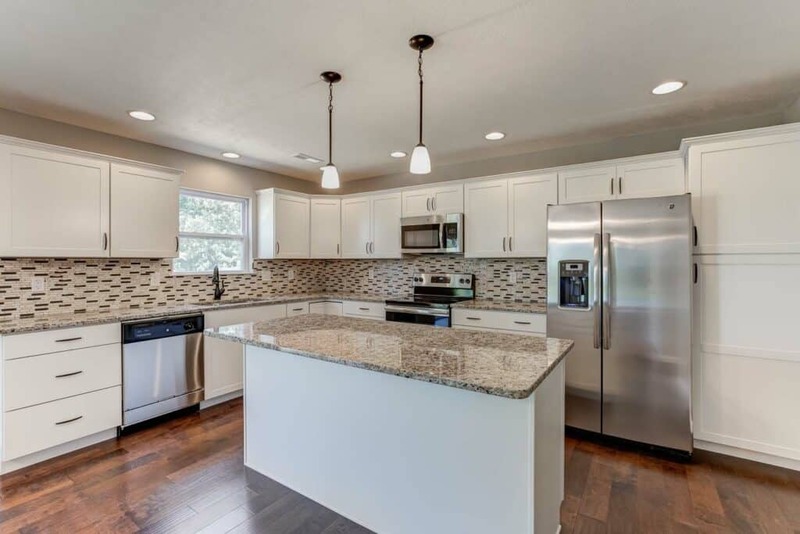 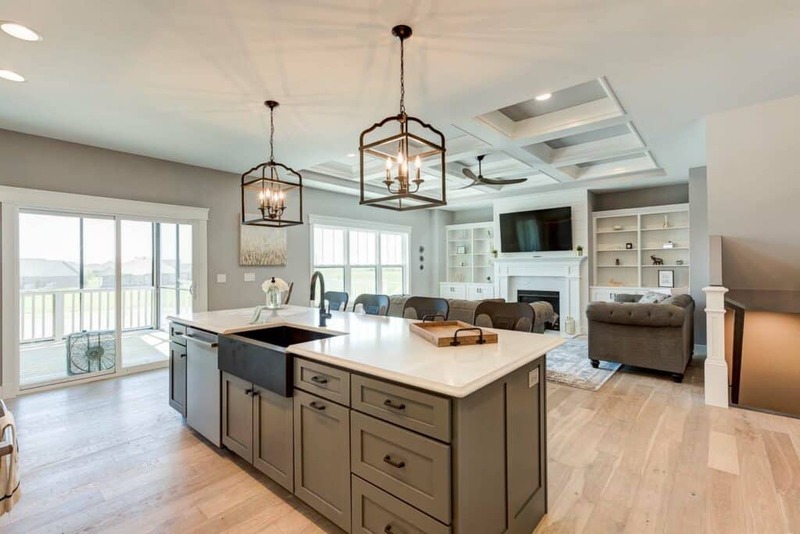 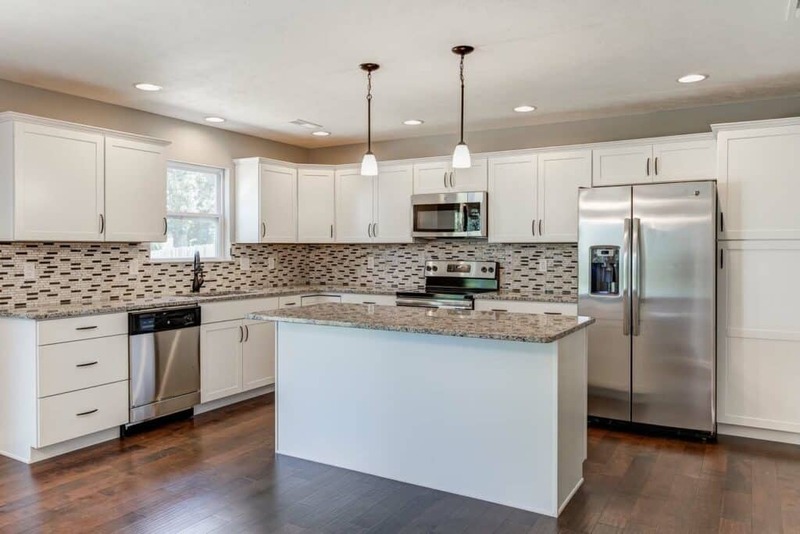 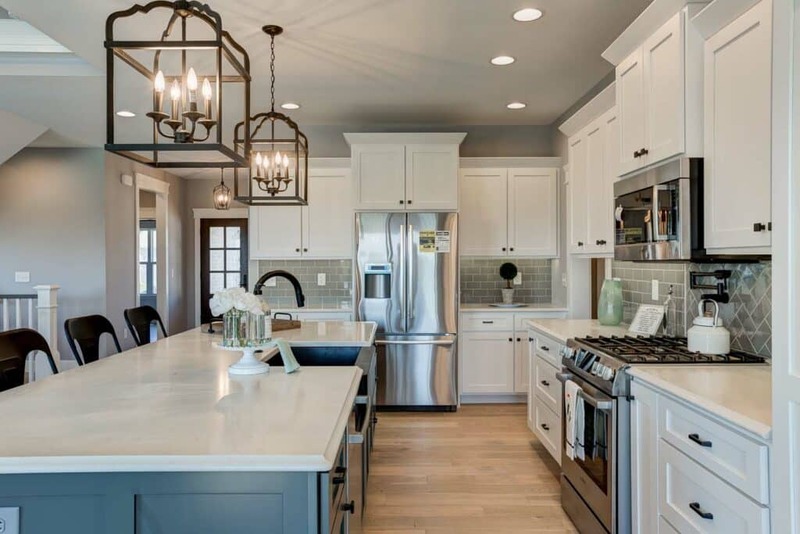 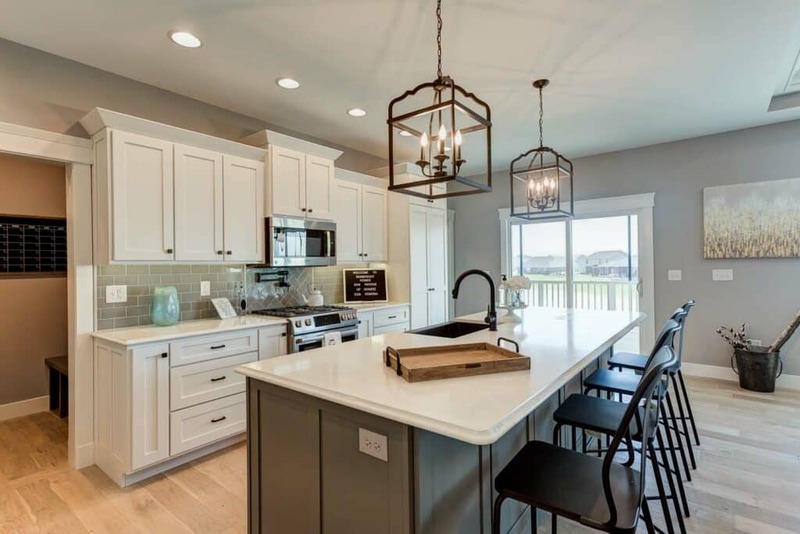 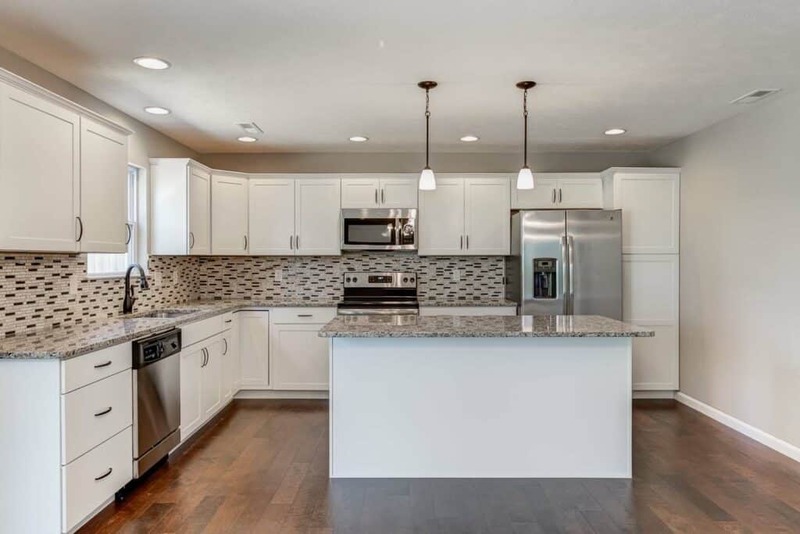 The kitchen offers quartz countertops, pantry and island and there is a separate dining room for entertaining and family dinners. 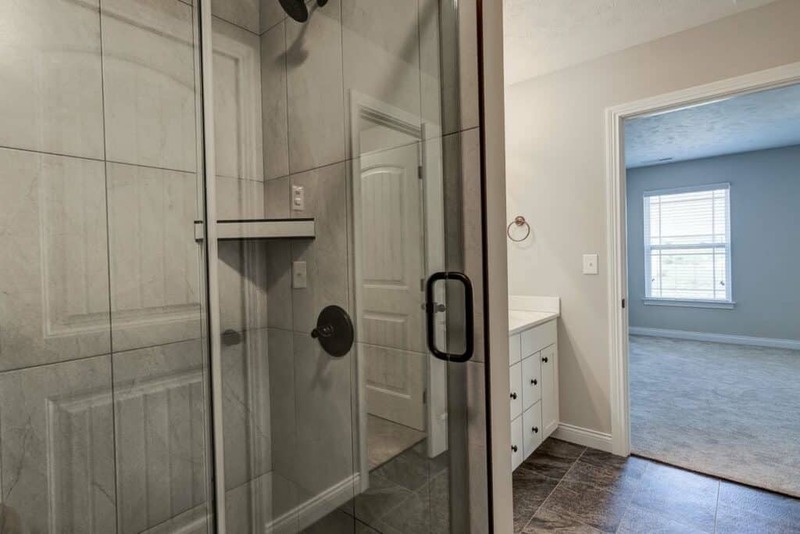 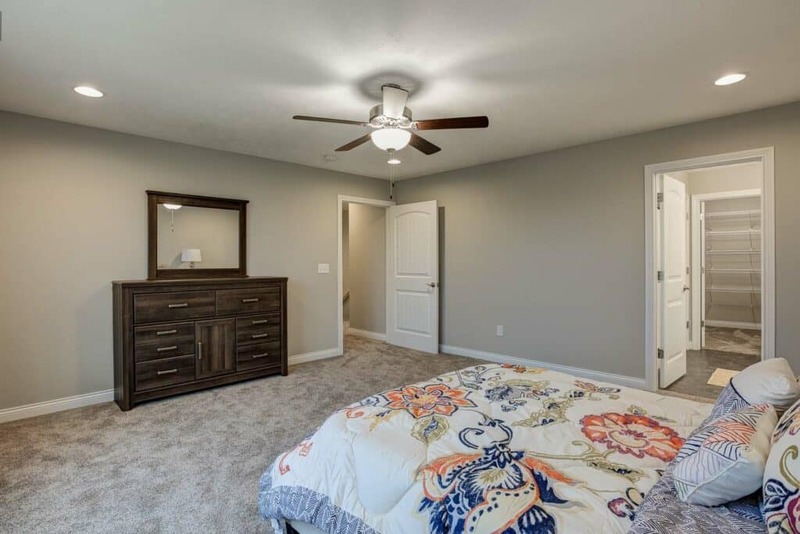 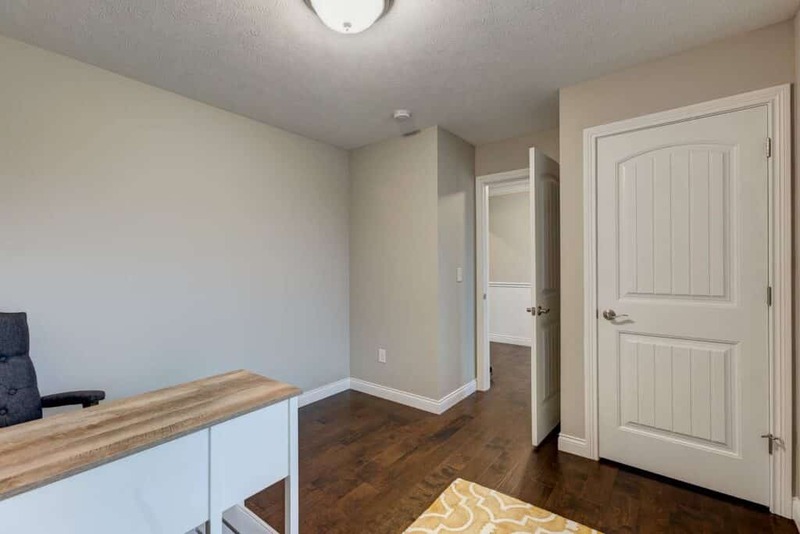 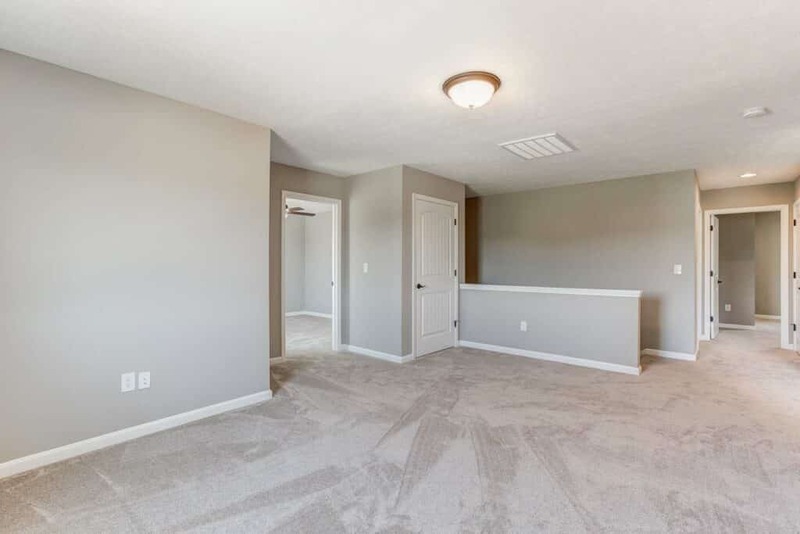 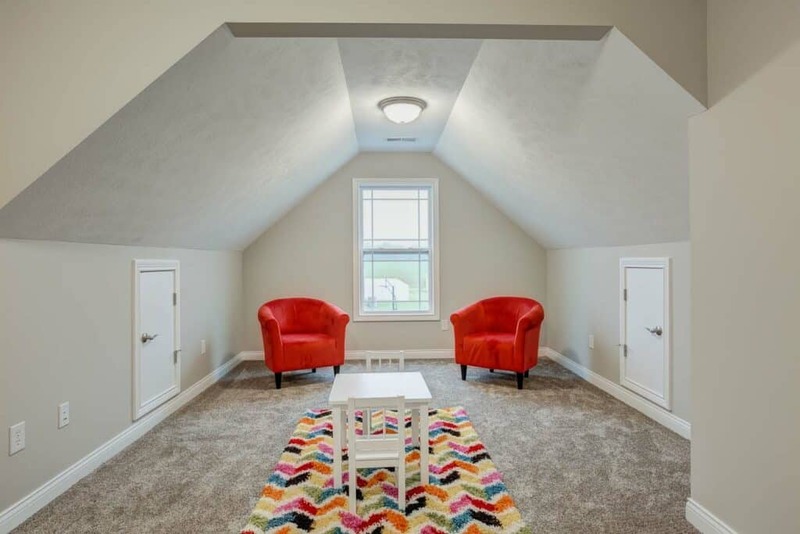 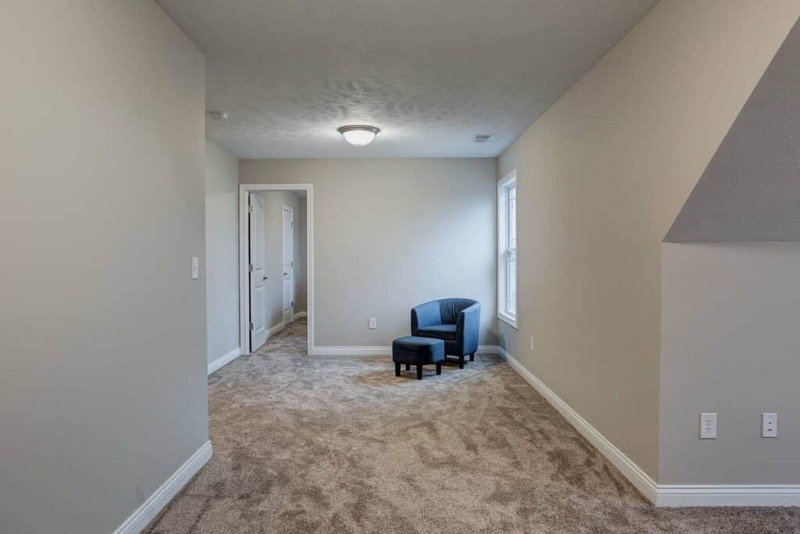 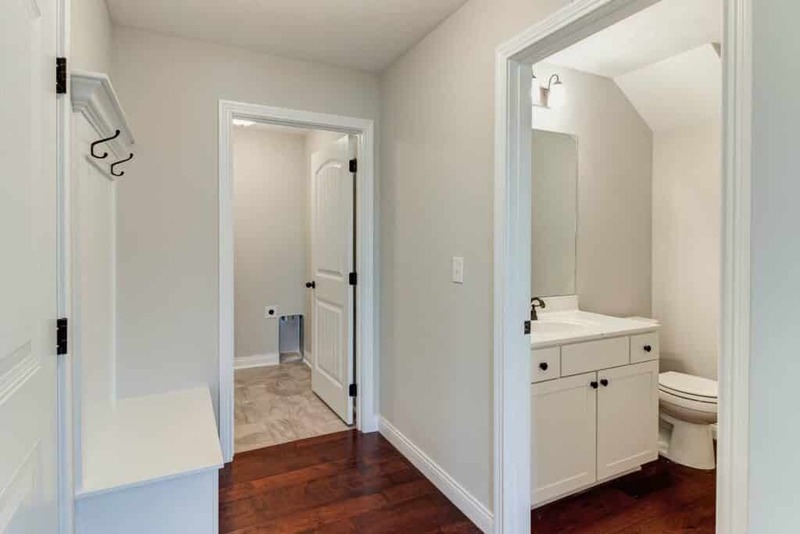 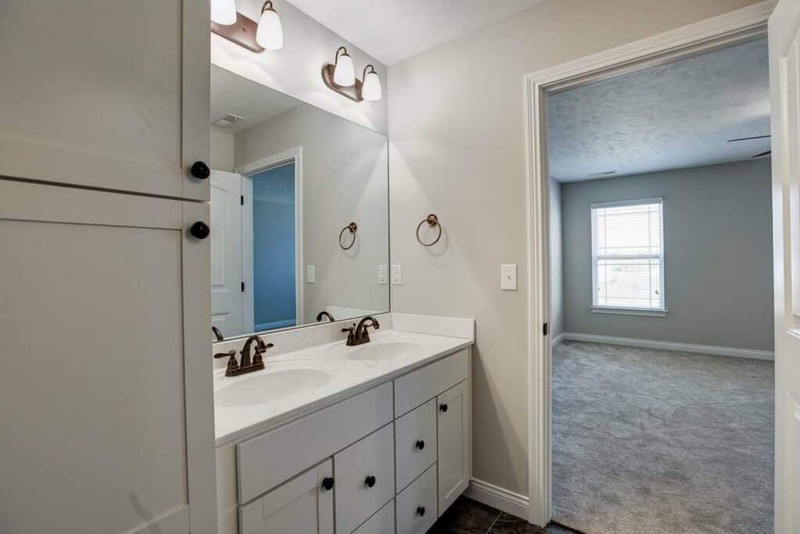 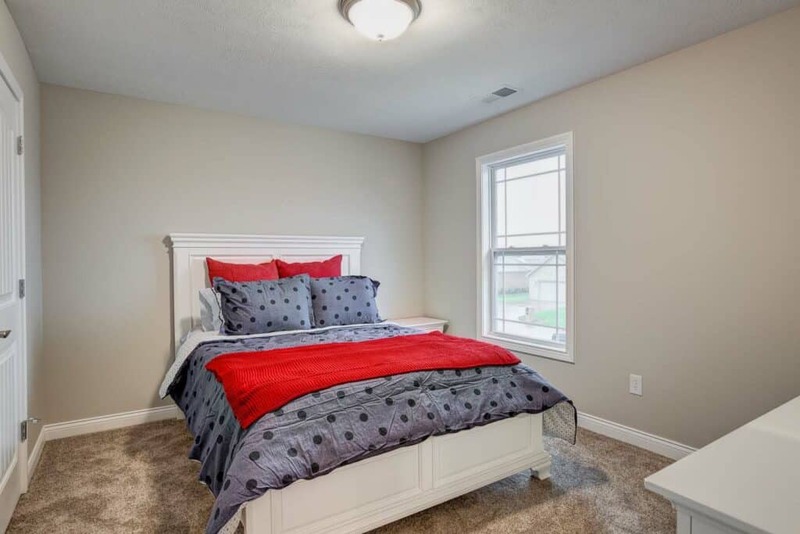 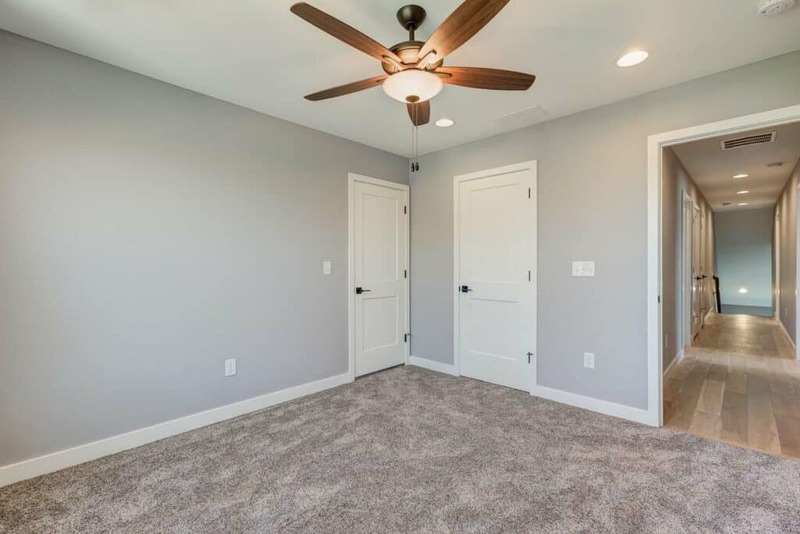 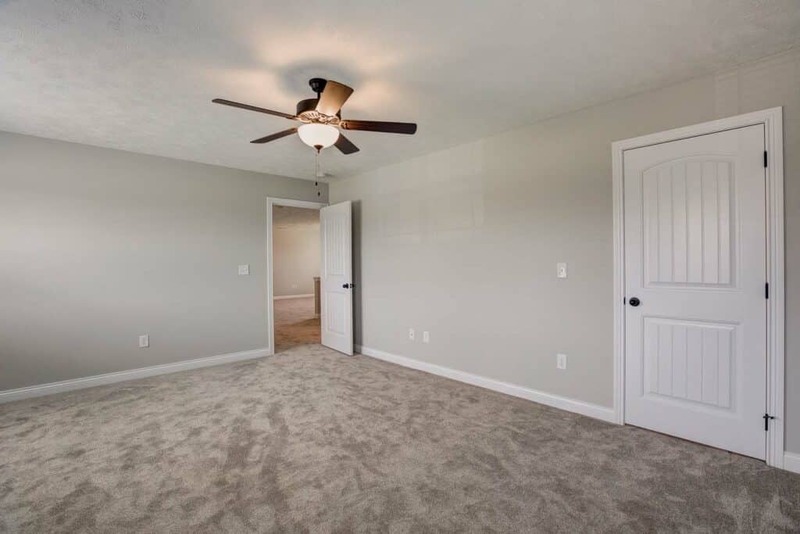 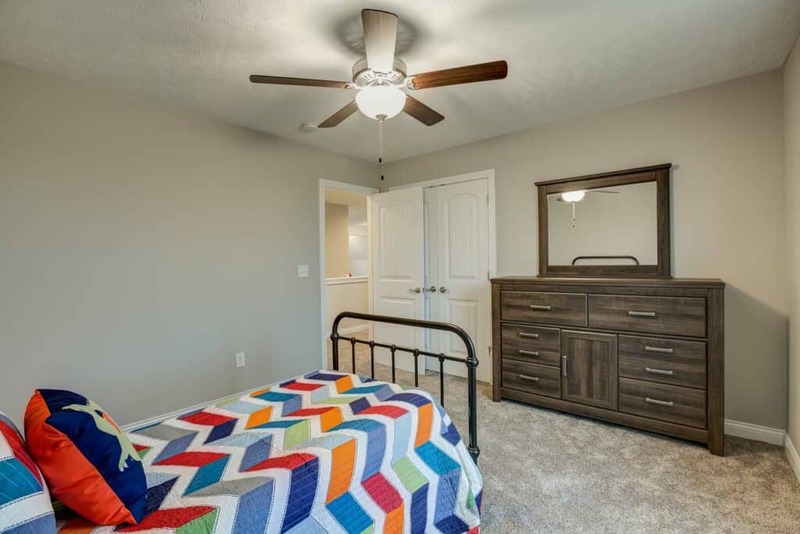 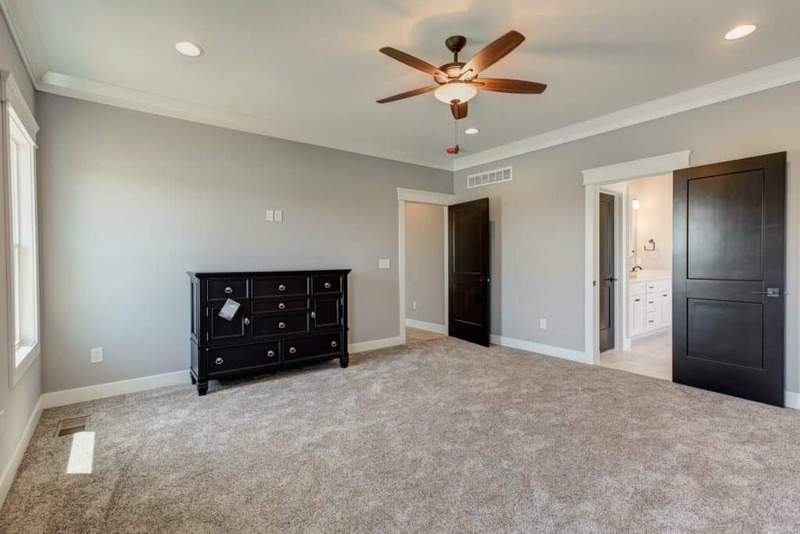 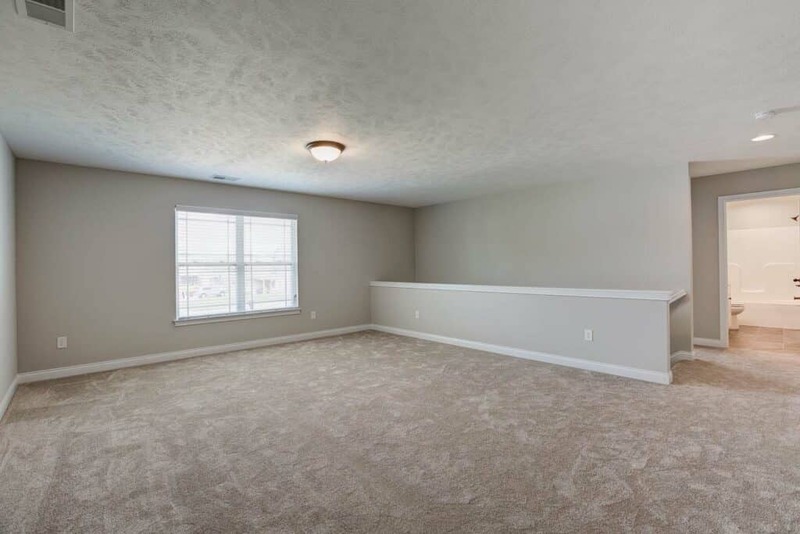 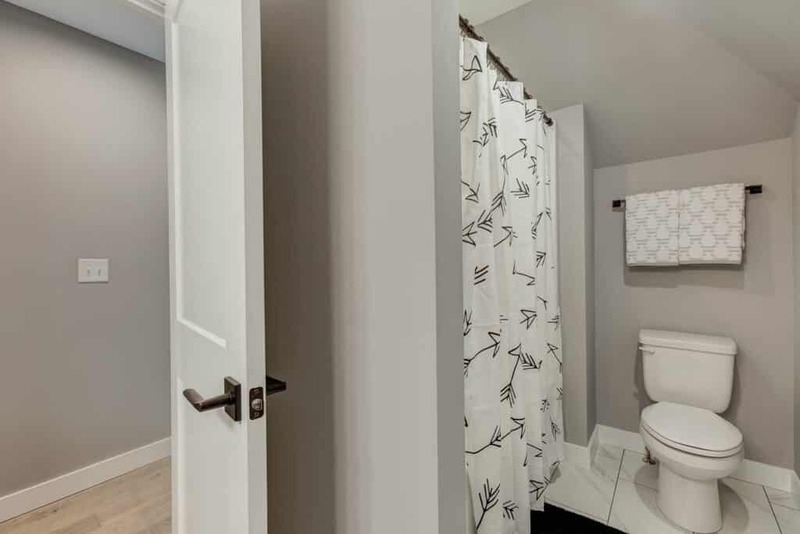 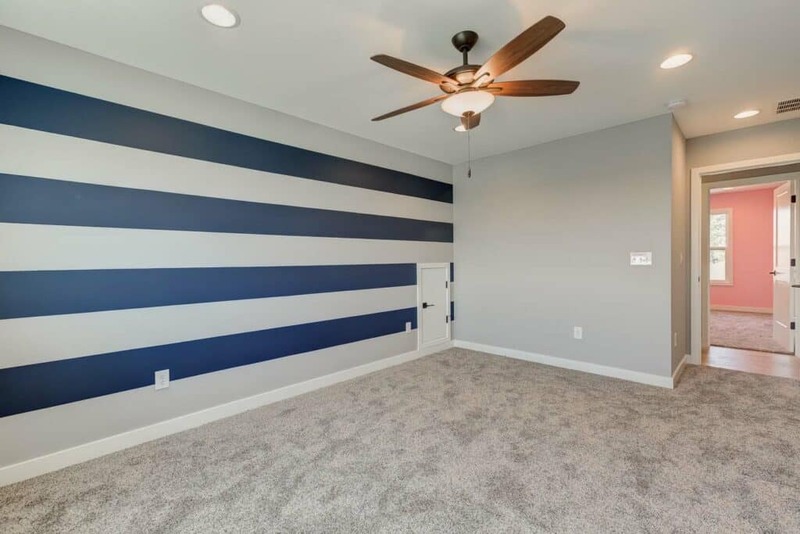 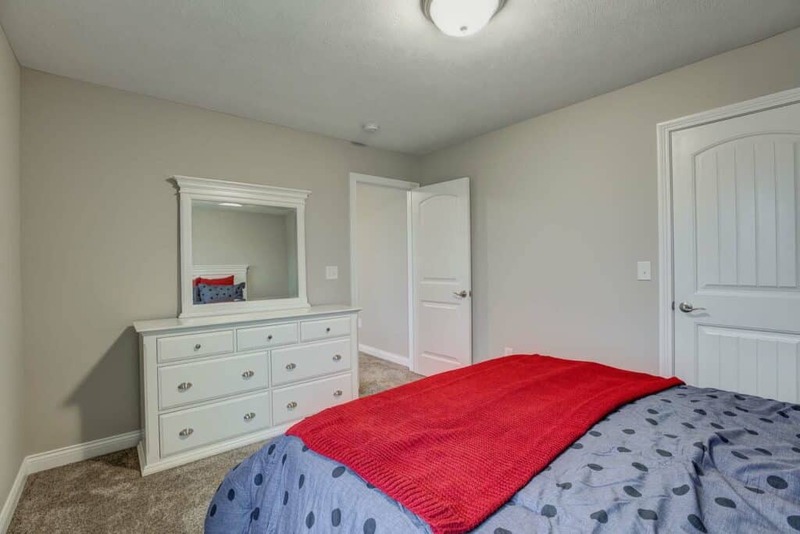 There are two bedrooms on the main level, one of which is the master bedroom that features 2 walk-in closets. 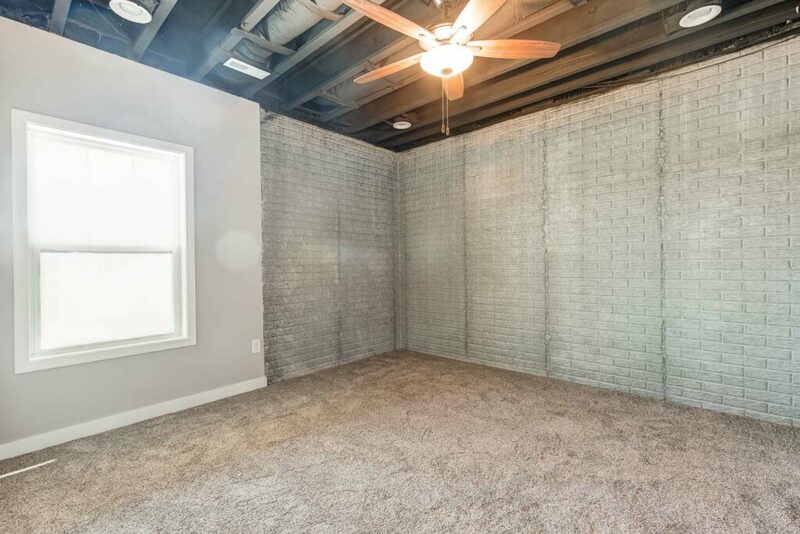 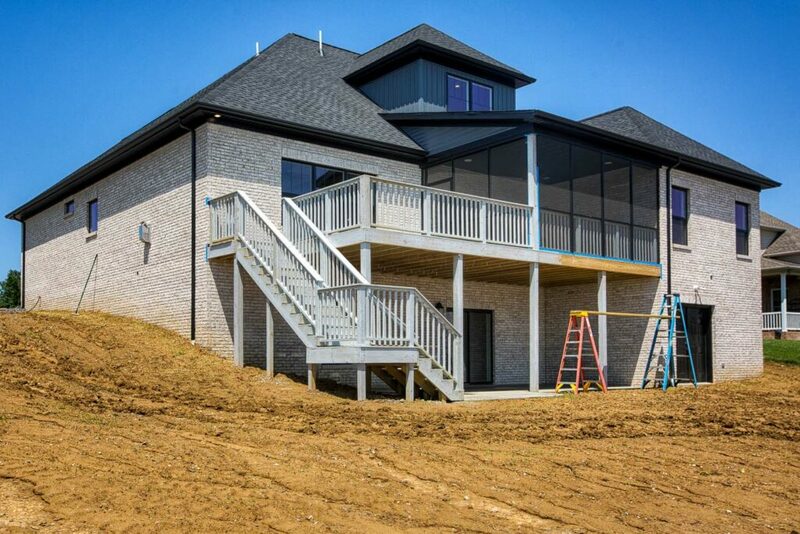 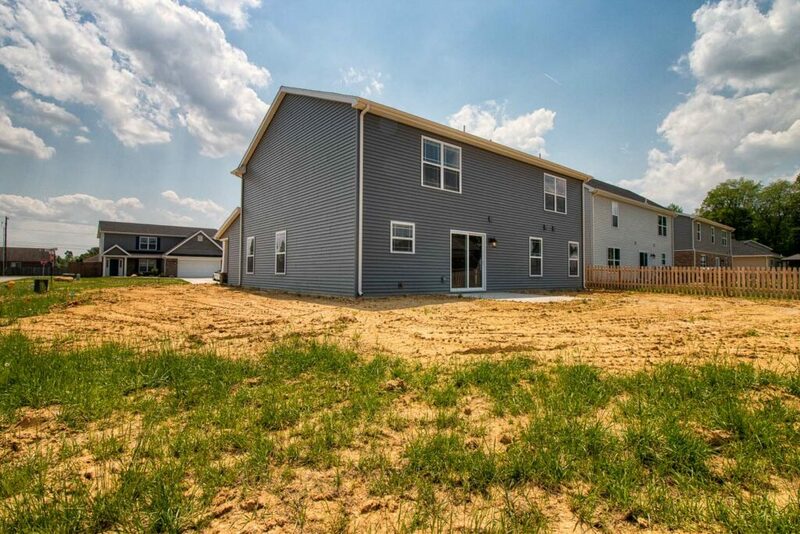 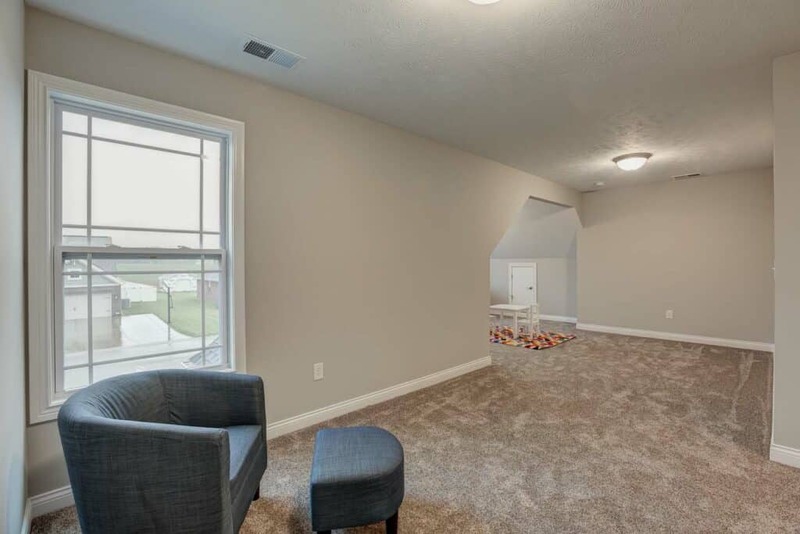 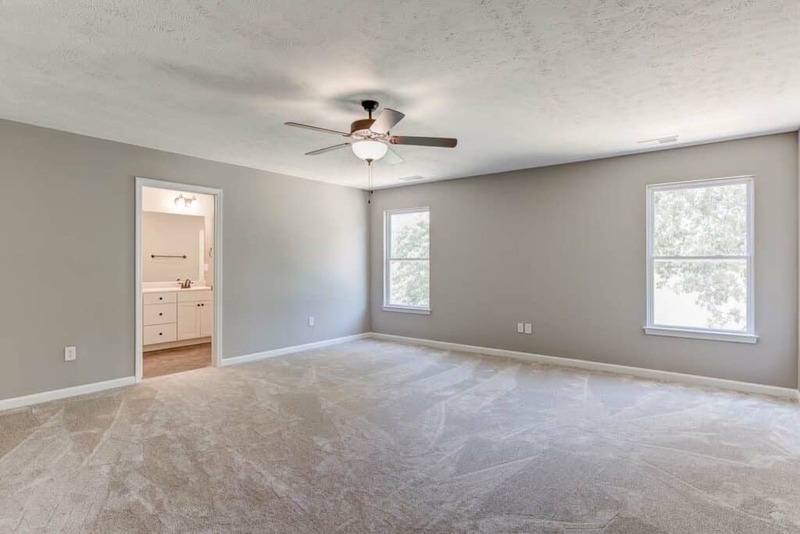 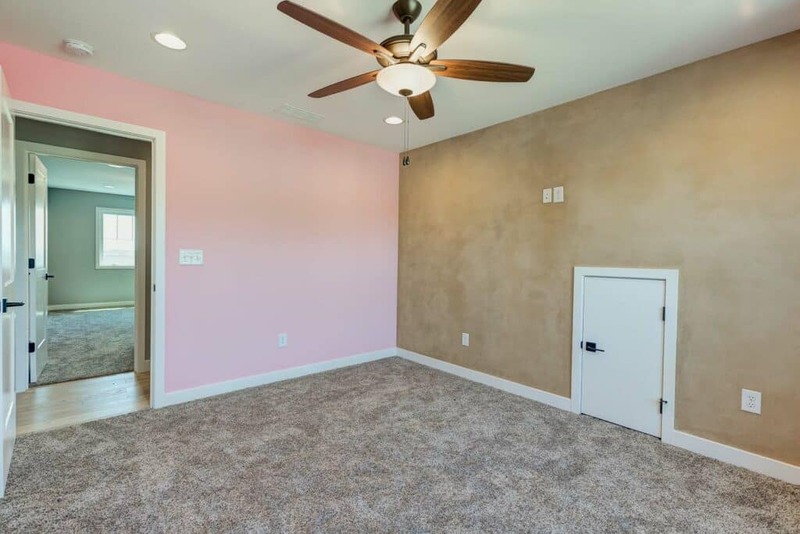 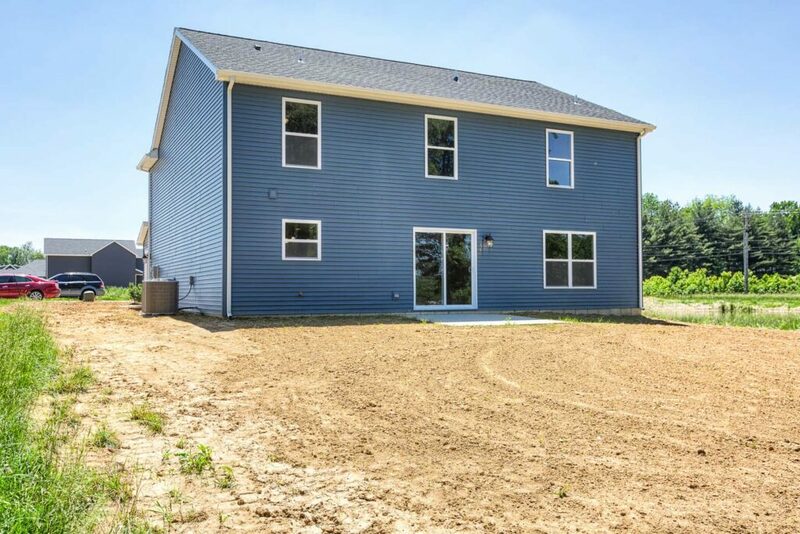 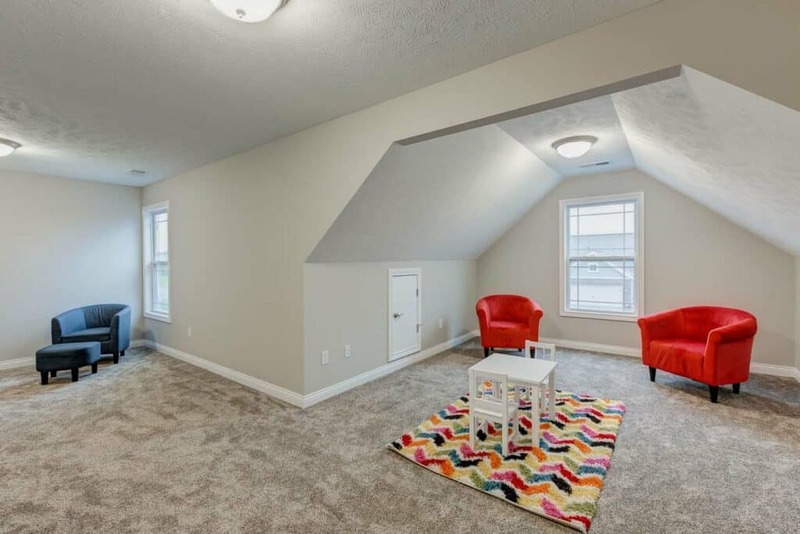 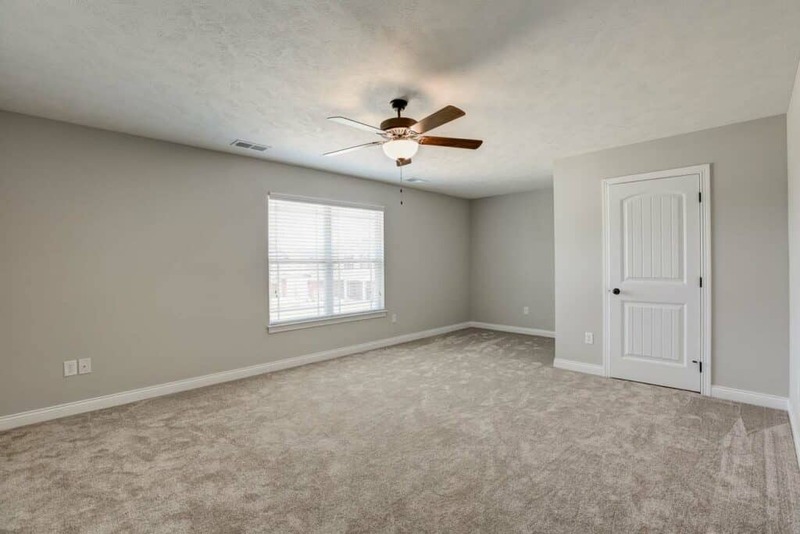 The upper level of the home is where you will find the remaining 3 bedrooms and an additional bonus room. 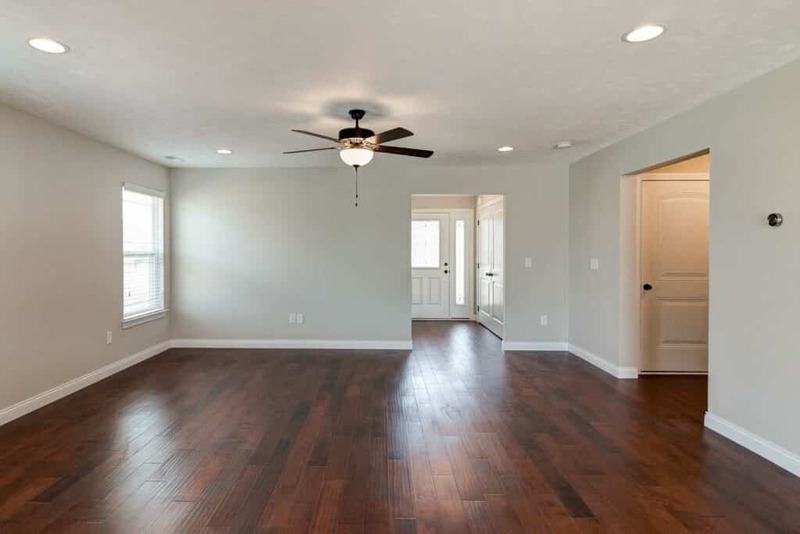 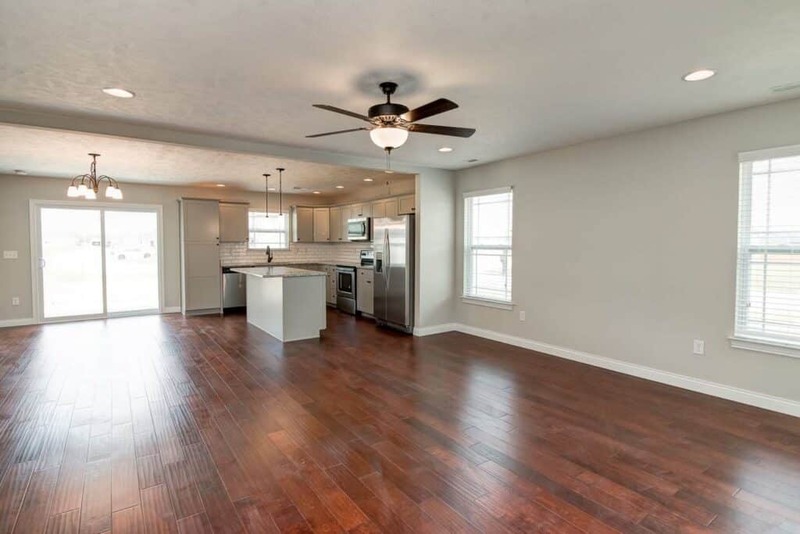 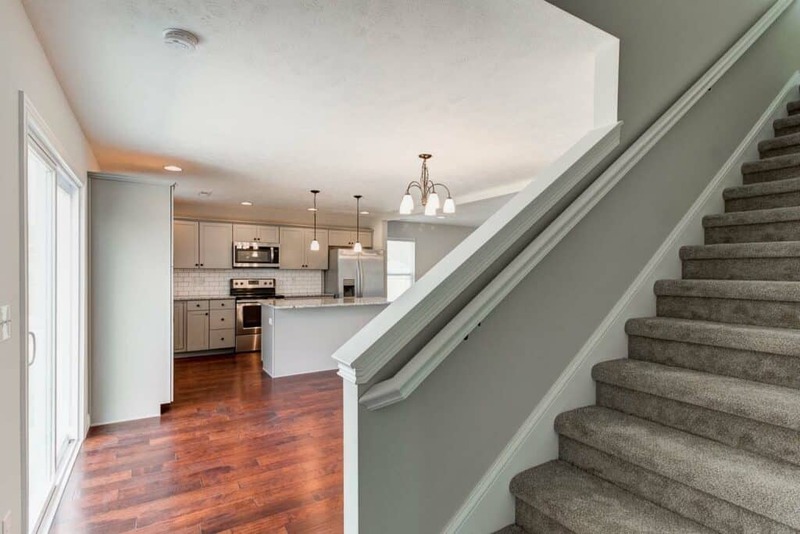 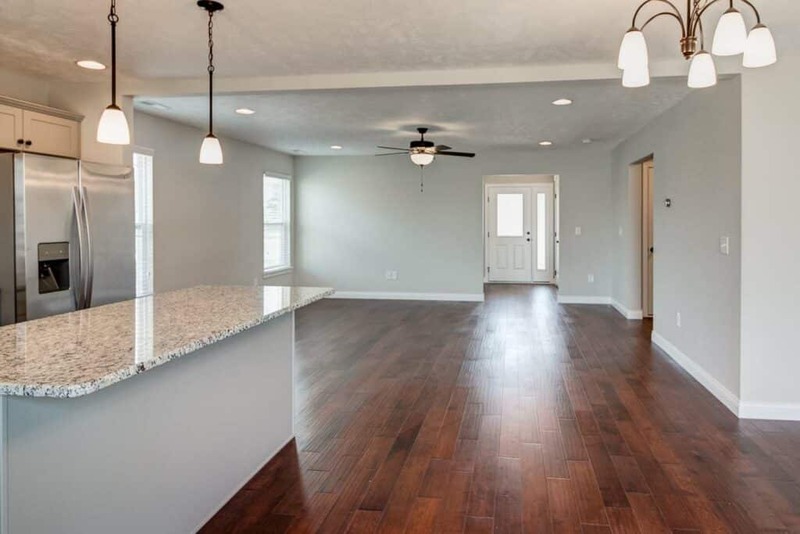 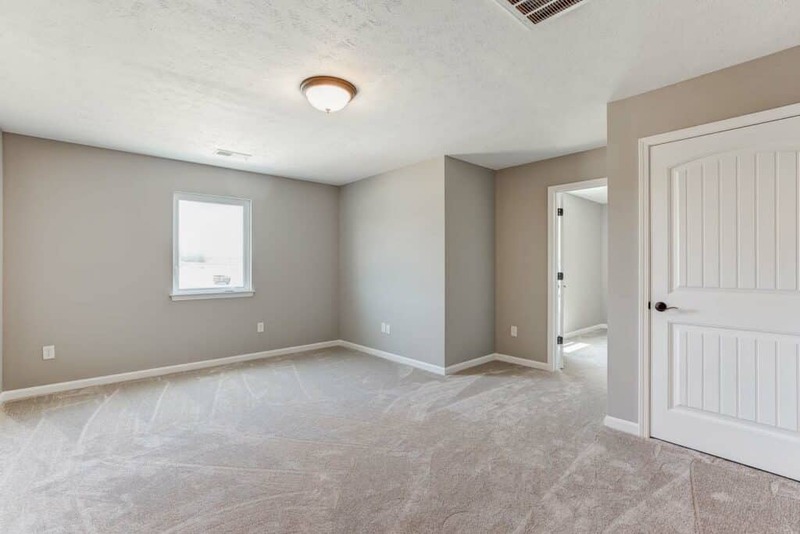 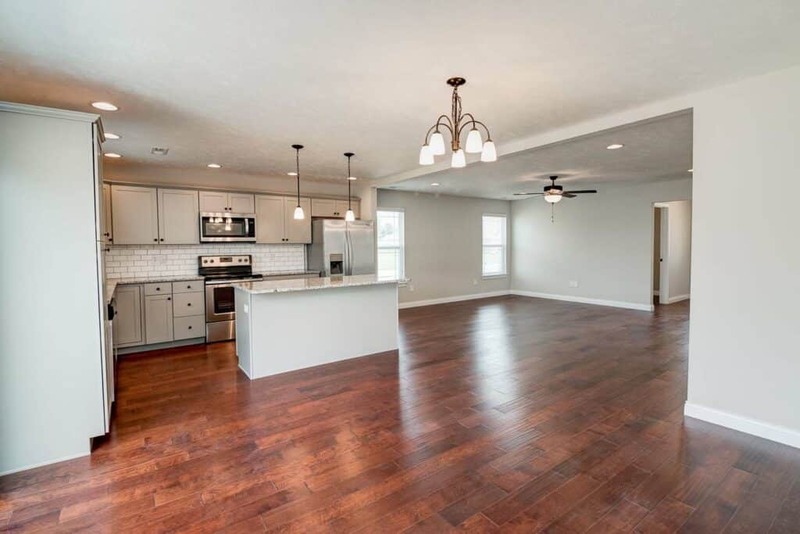 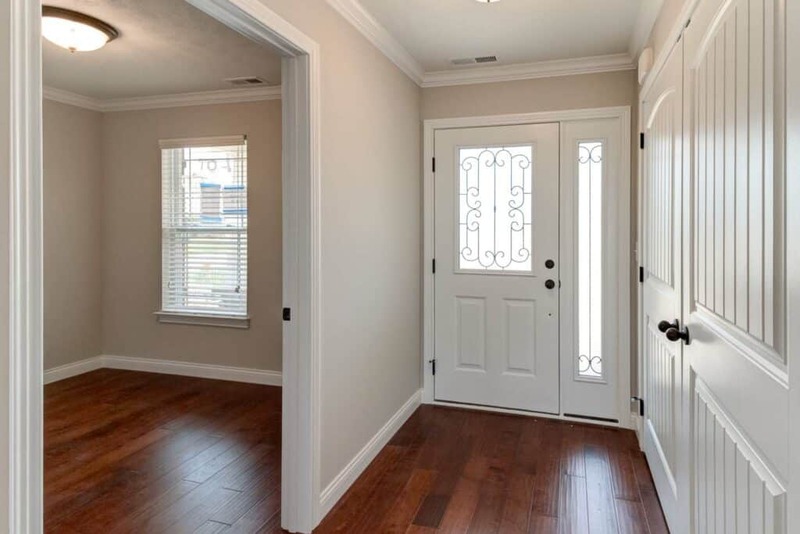 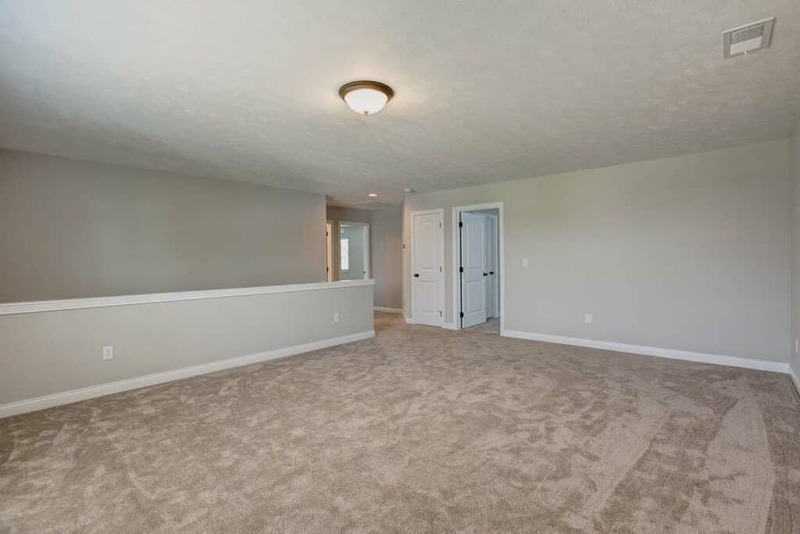 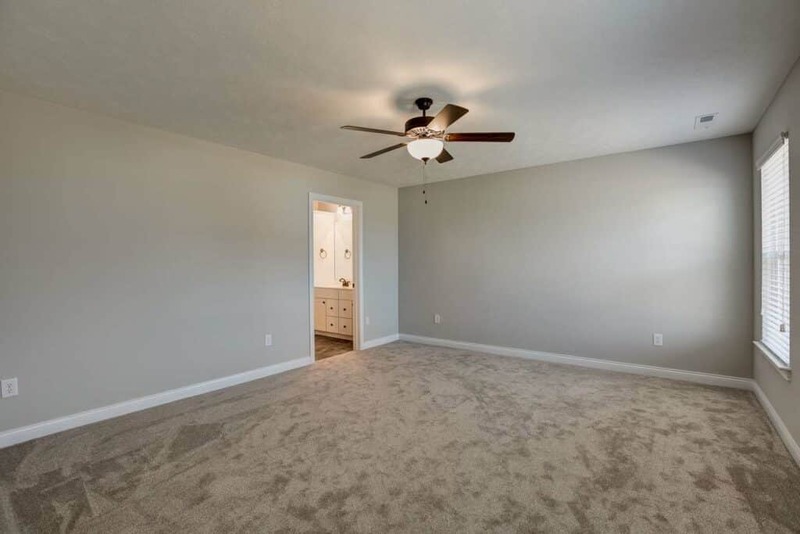 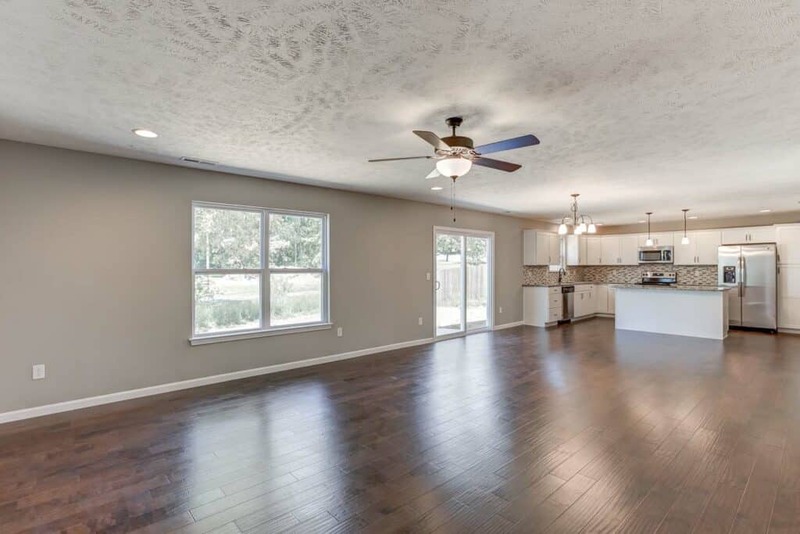 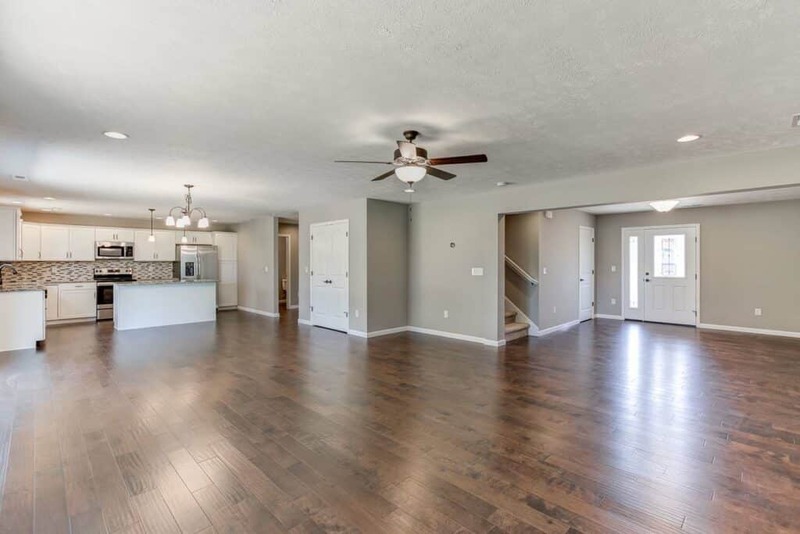 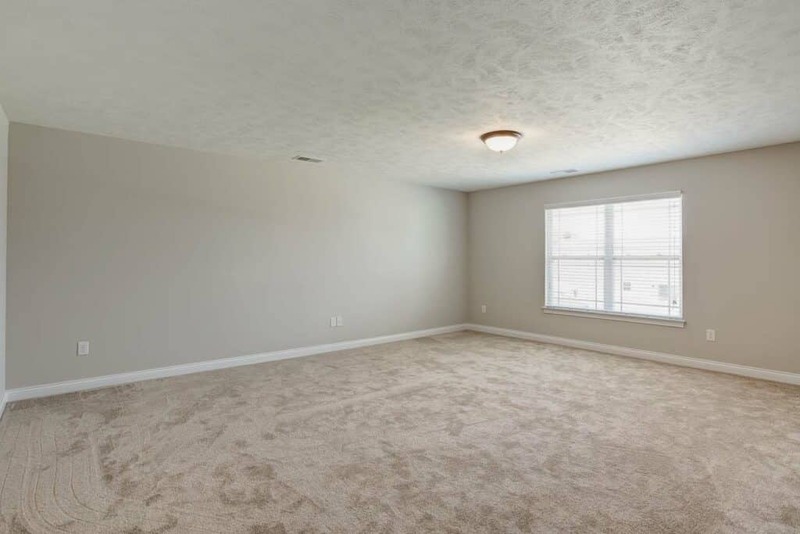 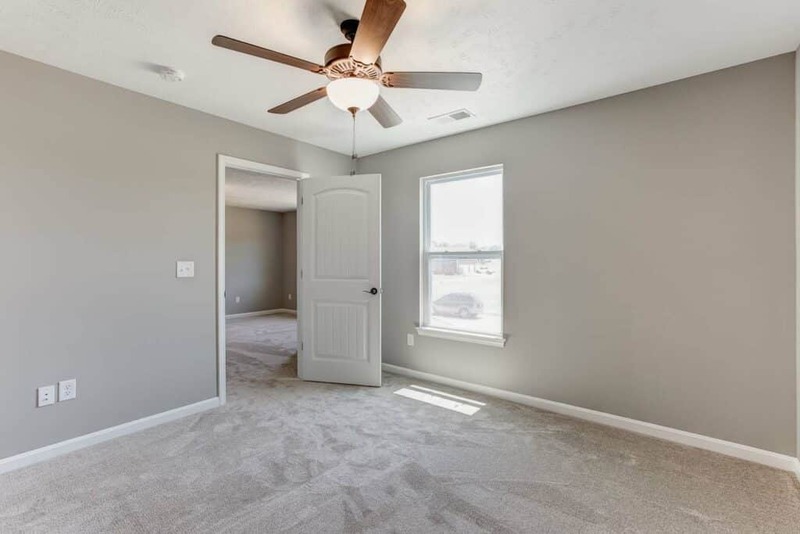 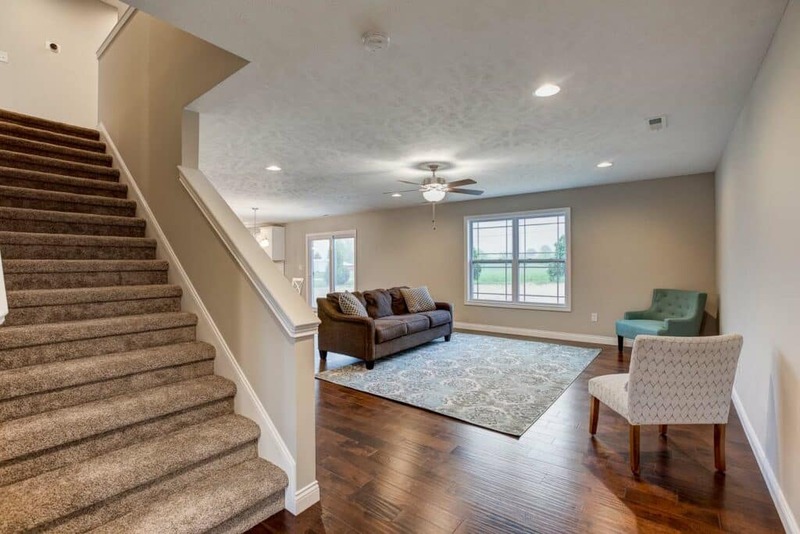 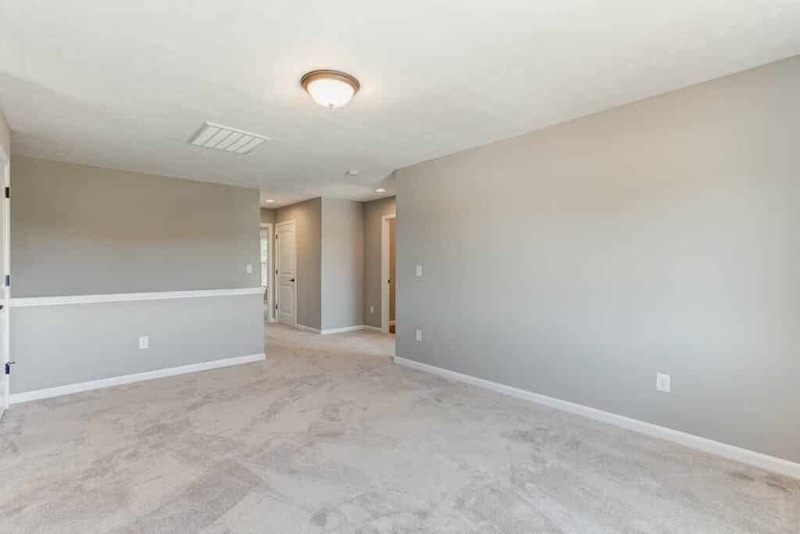 Beautiful hardwood floors, plush carpet and tile can be found throughout the home. 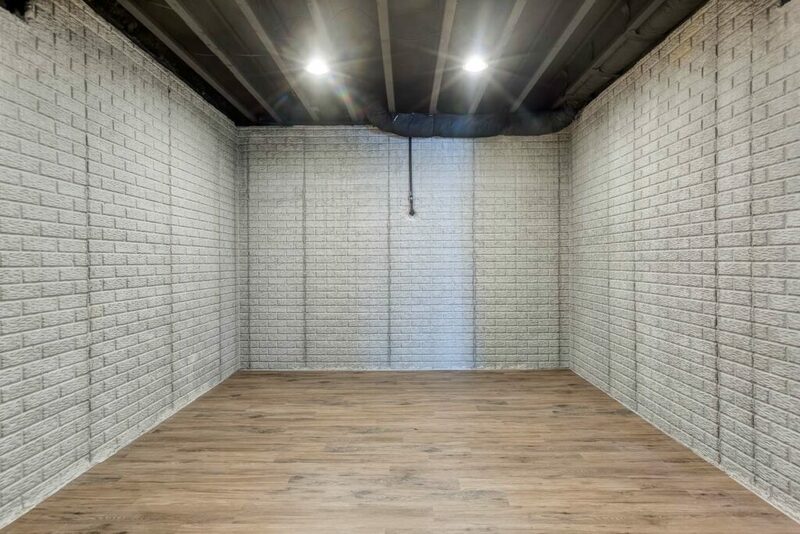 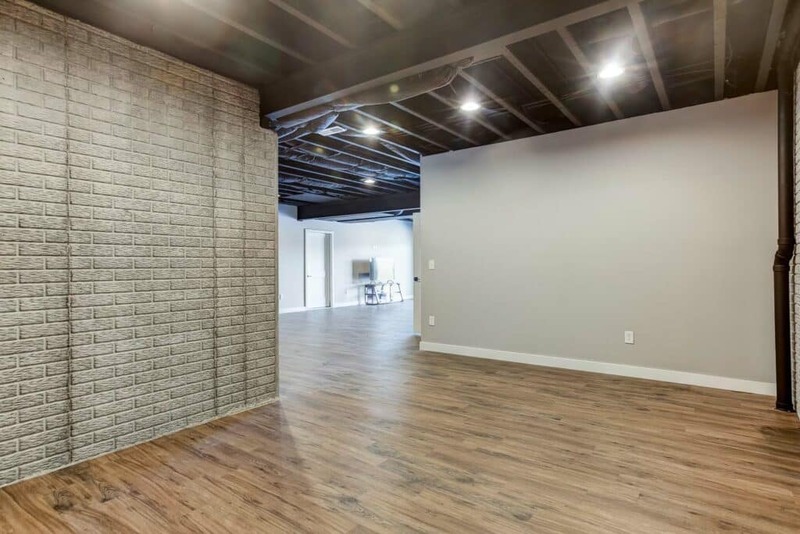 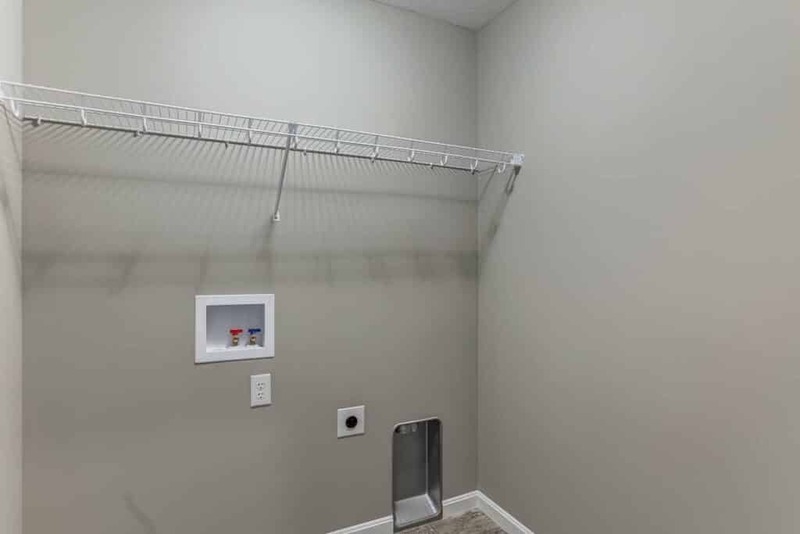 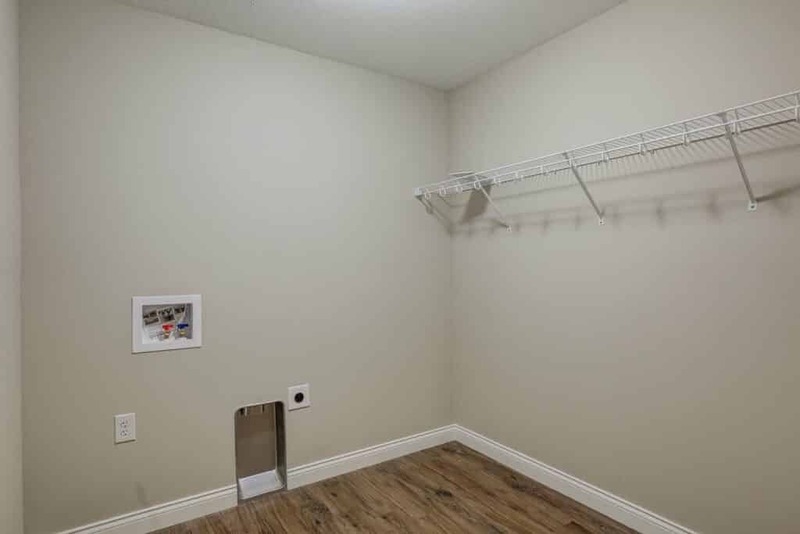 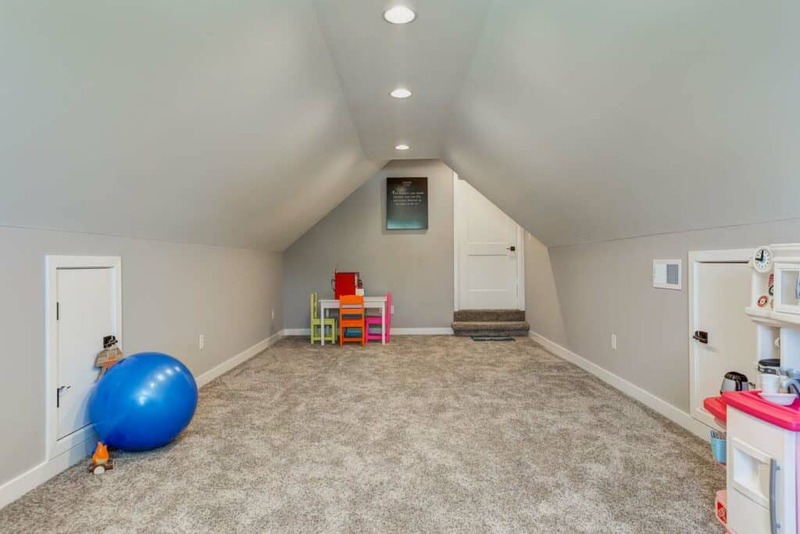 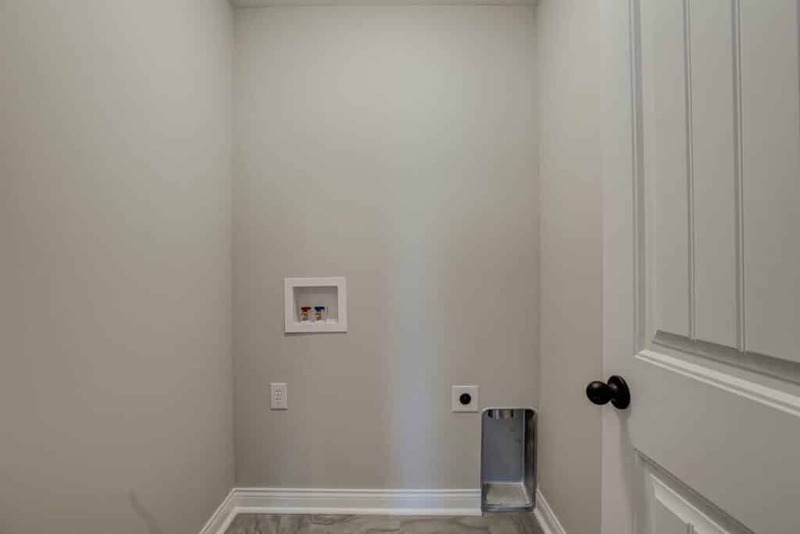 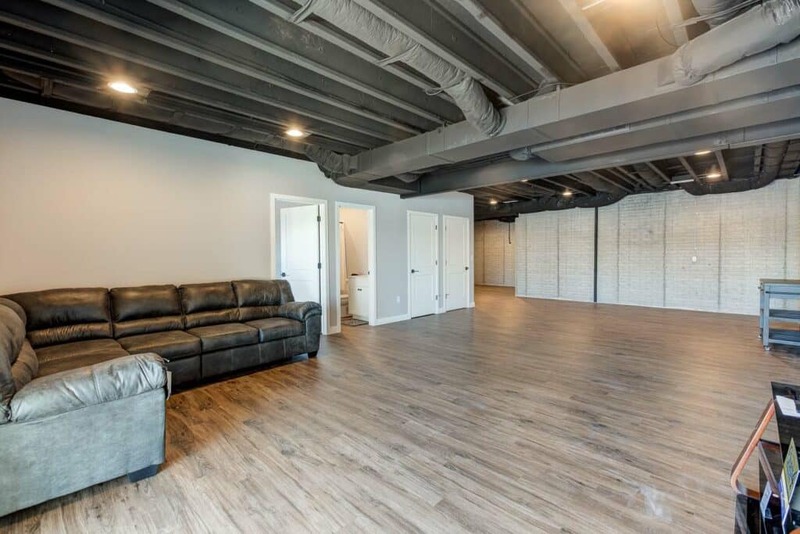 A full walk-out basement partially finished is featured; consisting of a storage area with separate outside access. 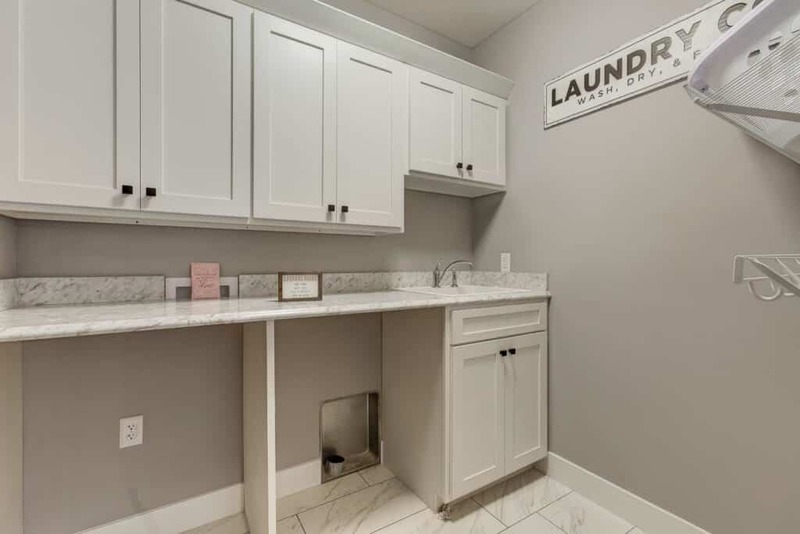 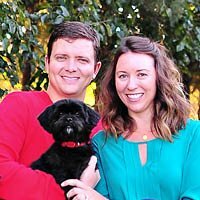 to qualify for a free Washer and Dryer from Ferguson!